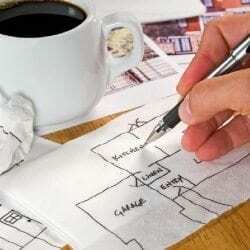 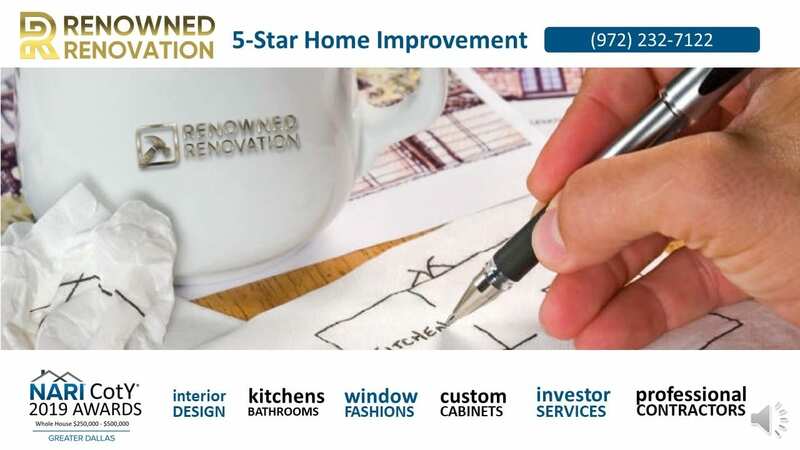 At Renowned Renovation, we work hard to meet and exceed your expectations. 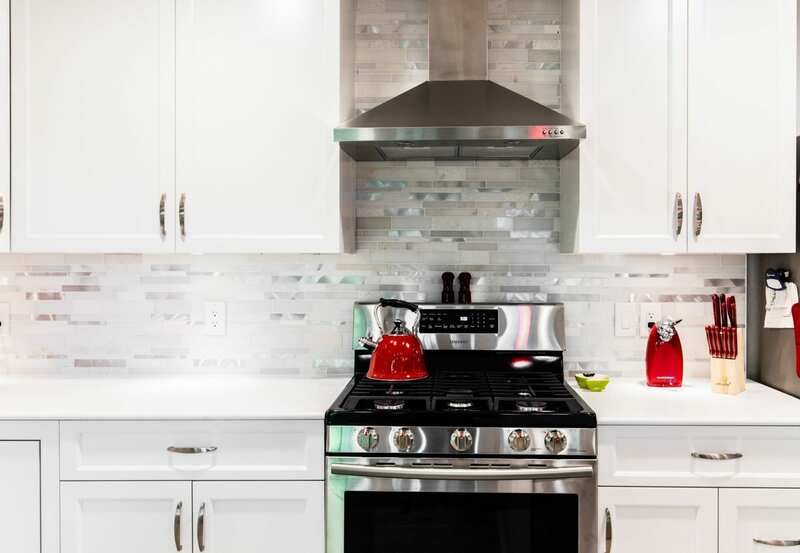 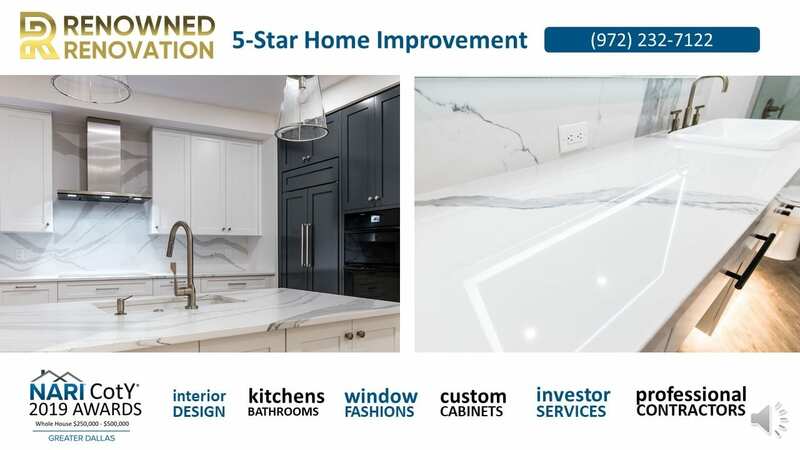 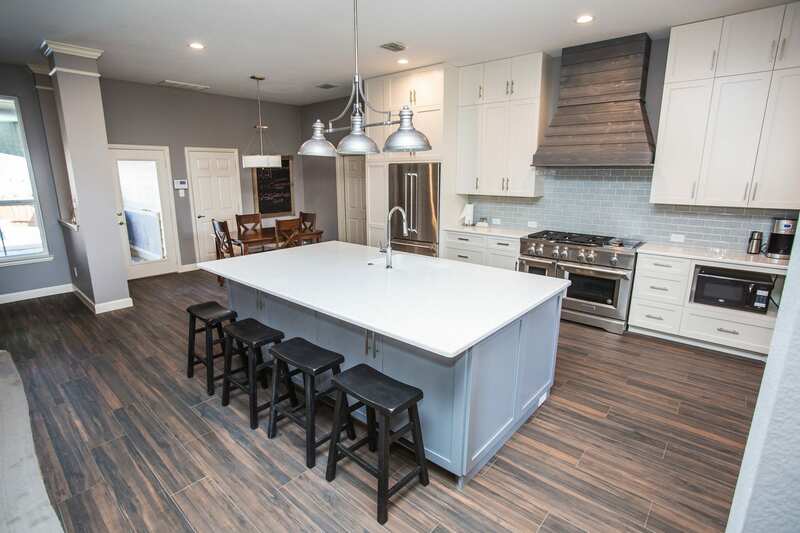 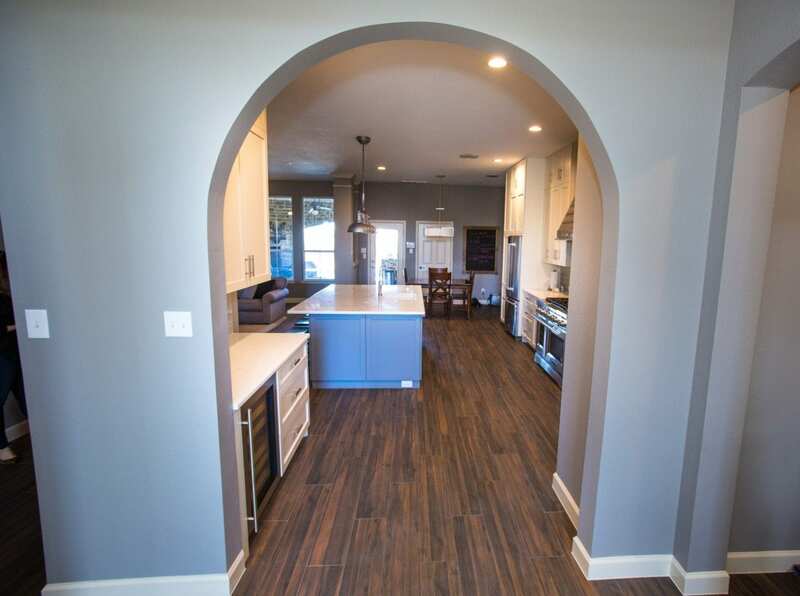 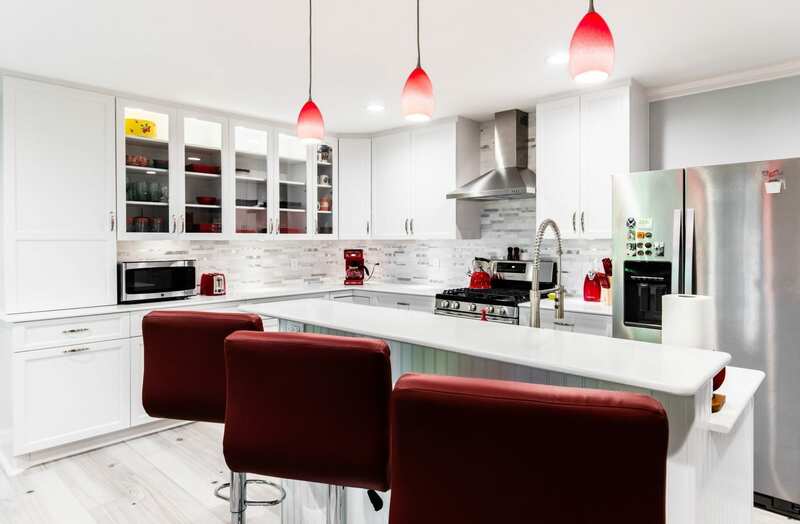 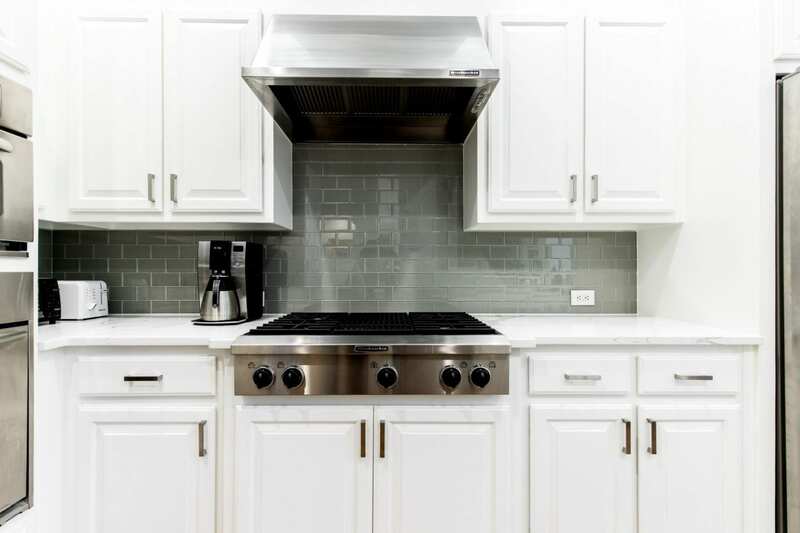 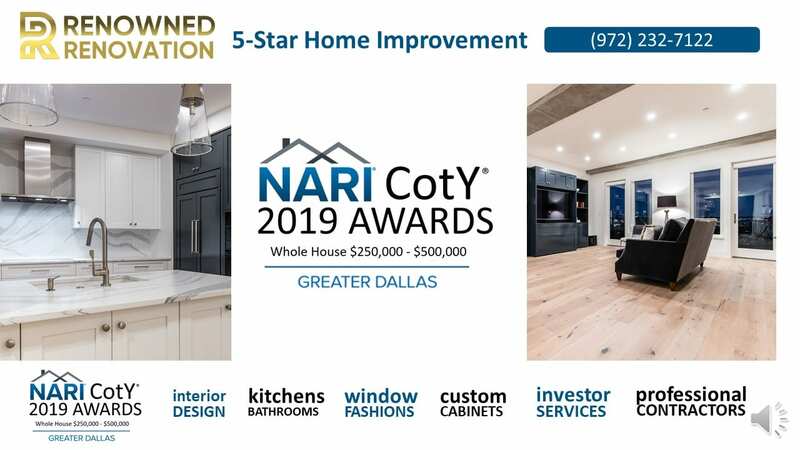 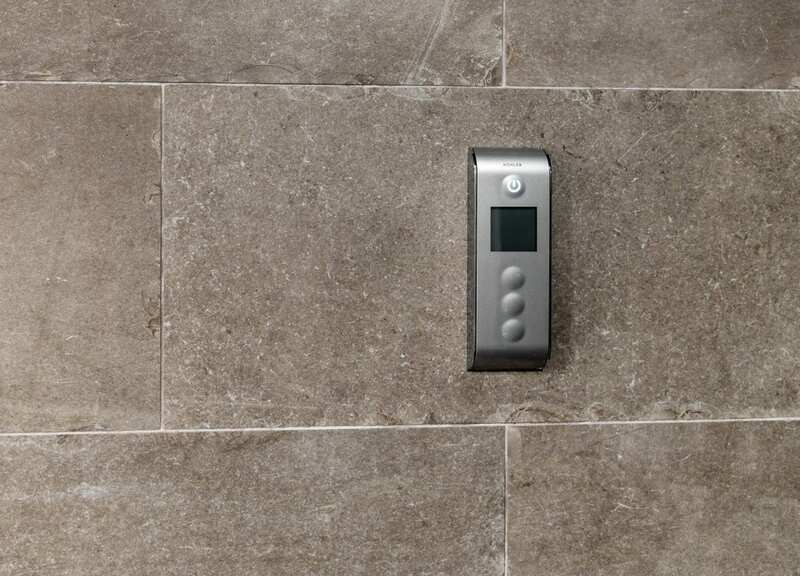 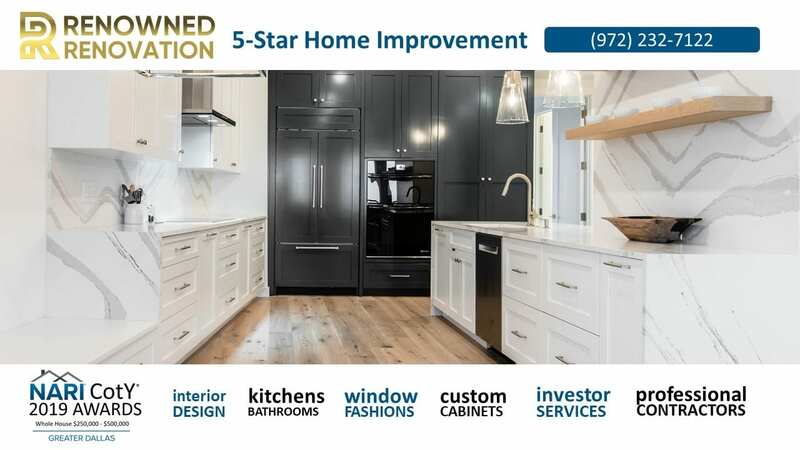 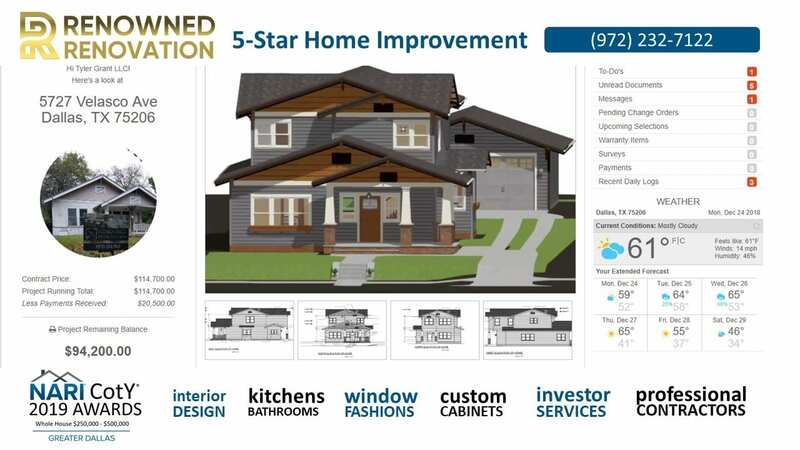 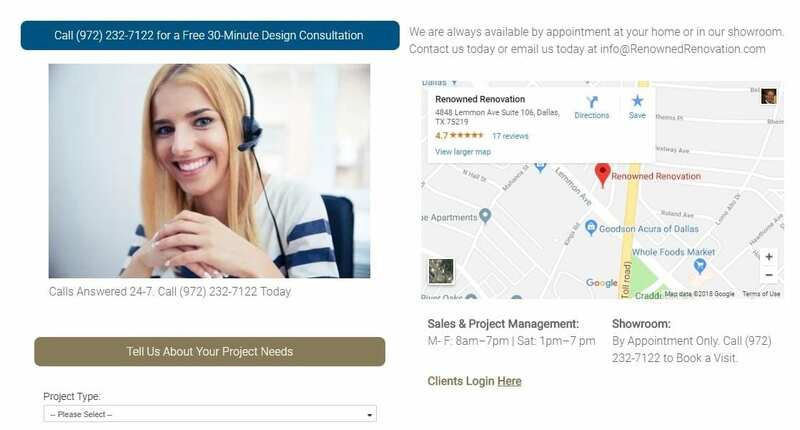 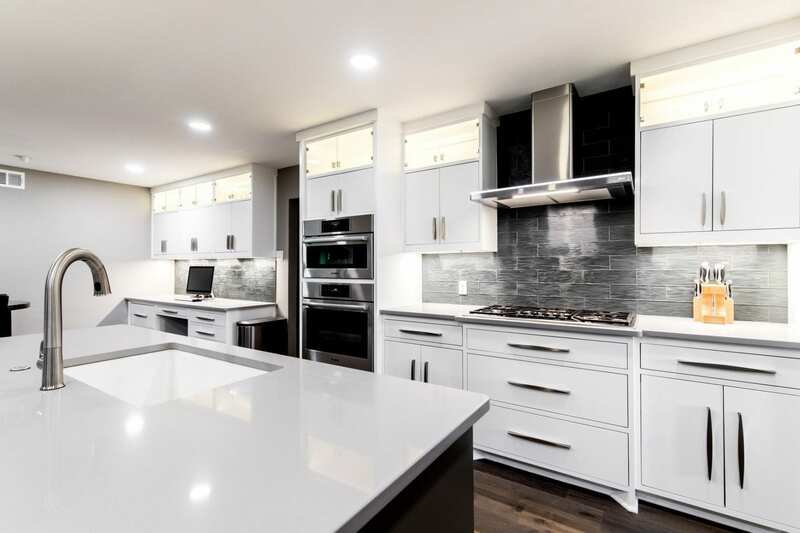 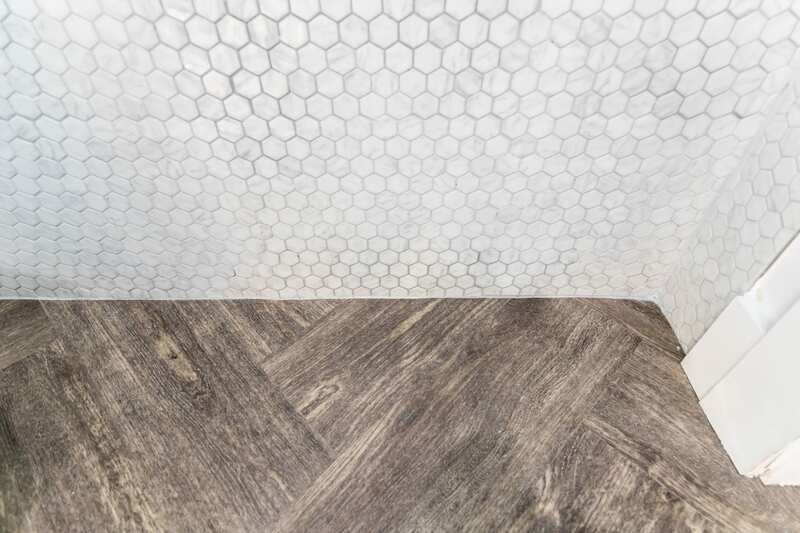 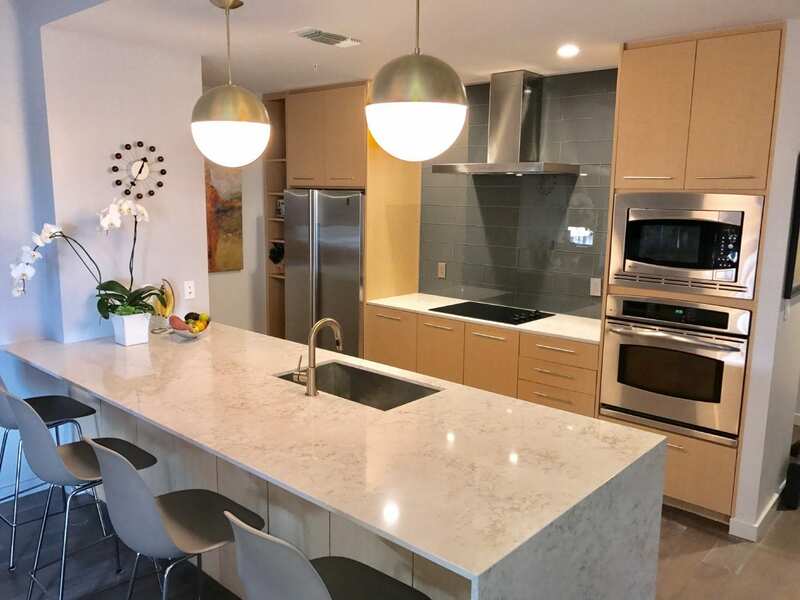 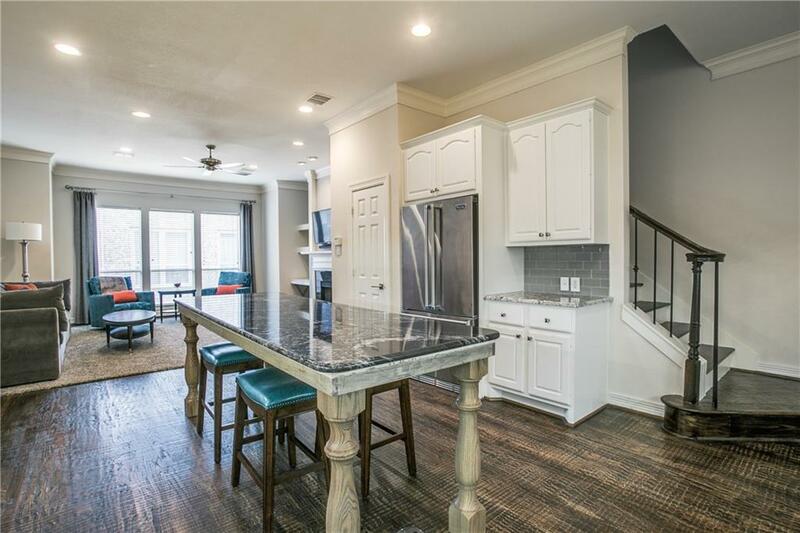 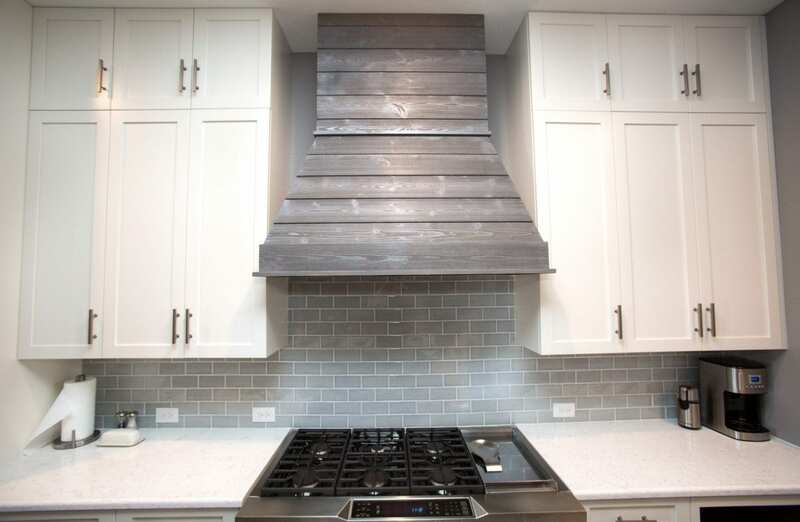 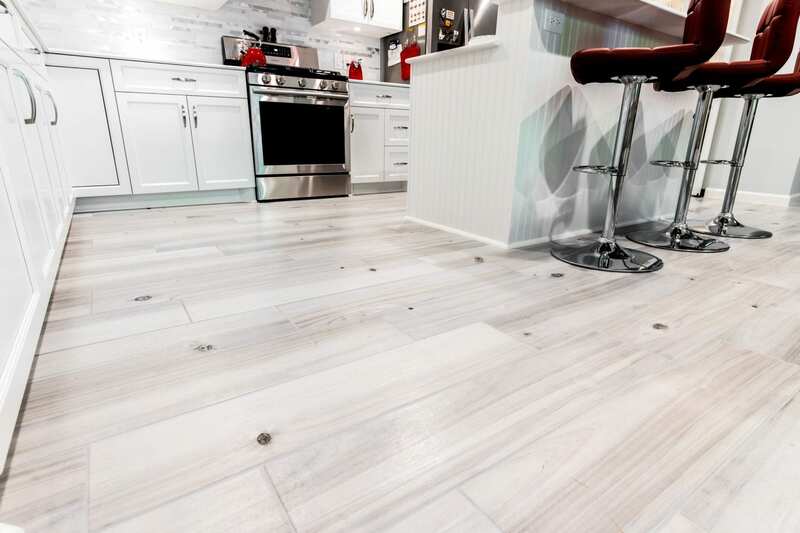 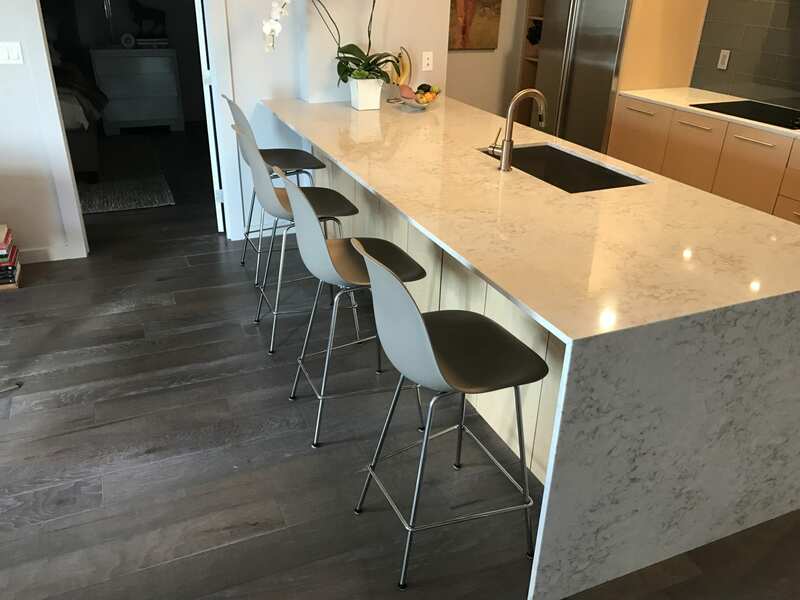 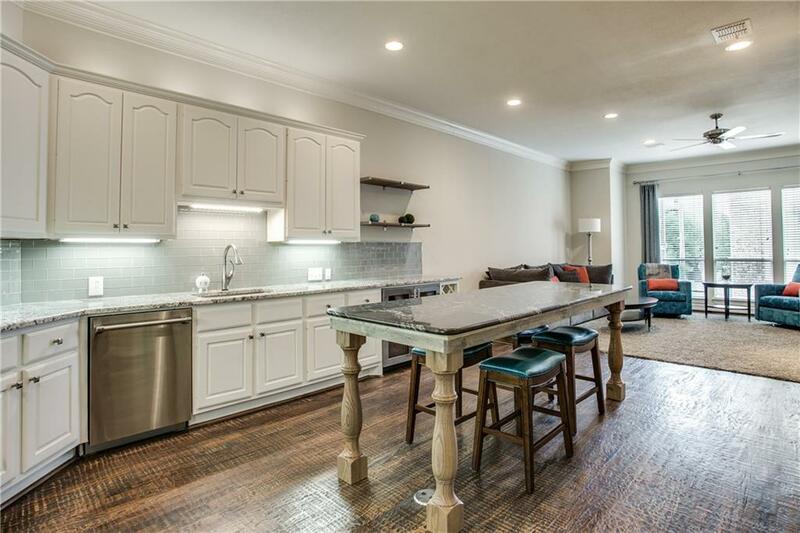 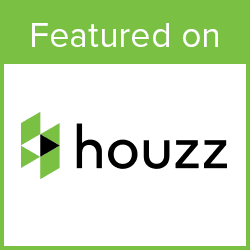 We are dedicated to delivering a 5-Star remodeling experience to all of our clients by being on-time, easy to communicate with, responsive, neat, and professional. 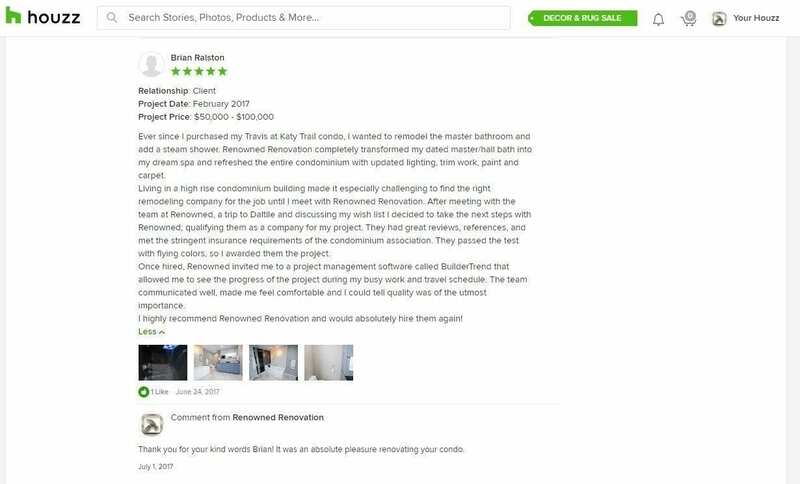 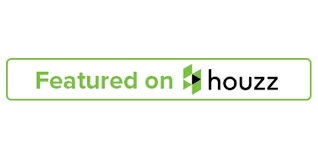 ​We encourage prospective clients to review our rating, contact our references, and even to visit with at an active jobsite. 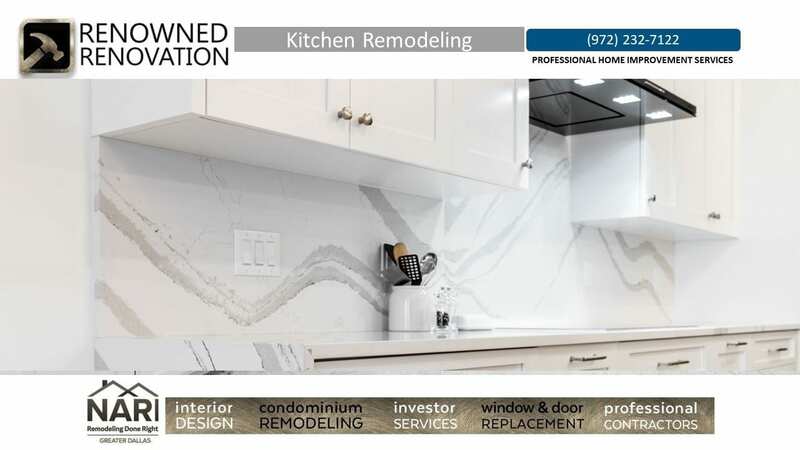 Watch this video to see how one of the many ways we make client's remodeling experience renowned! 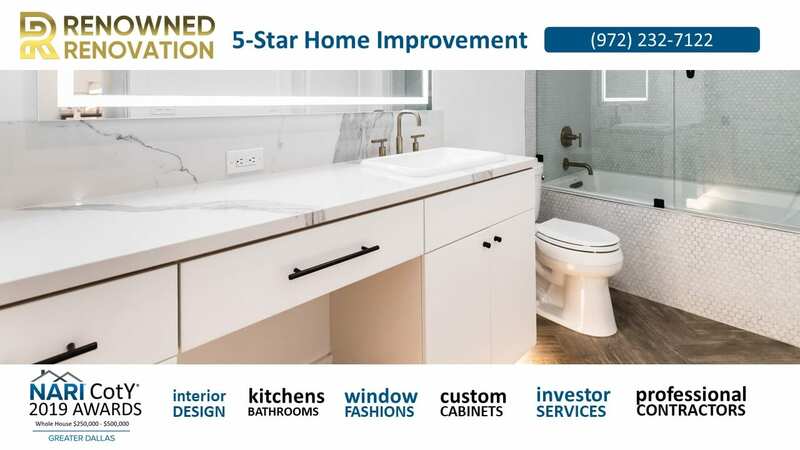 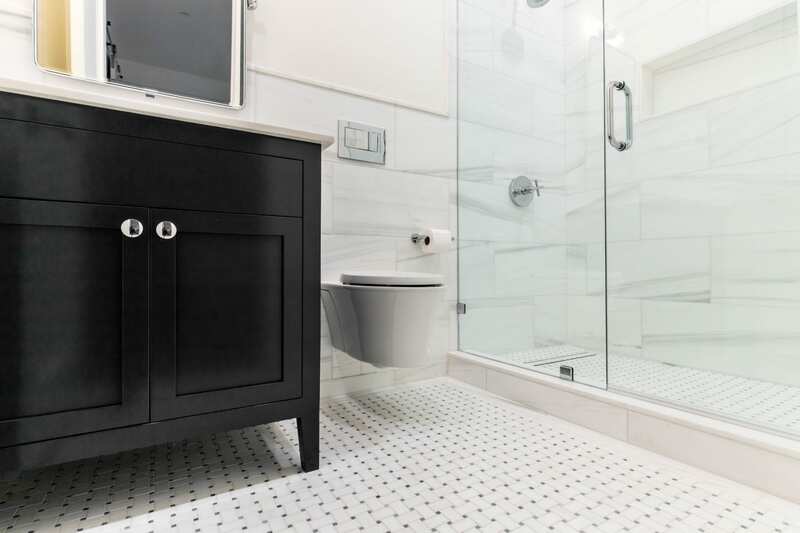 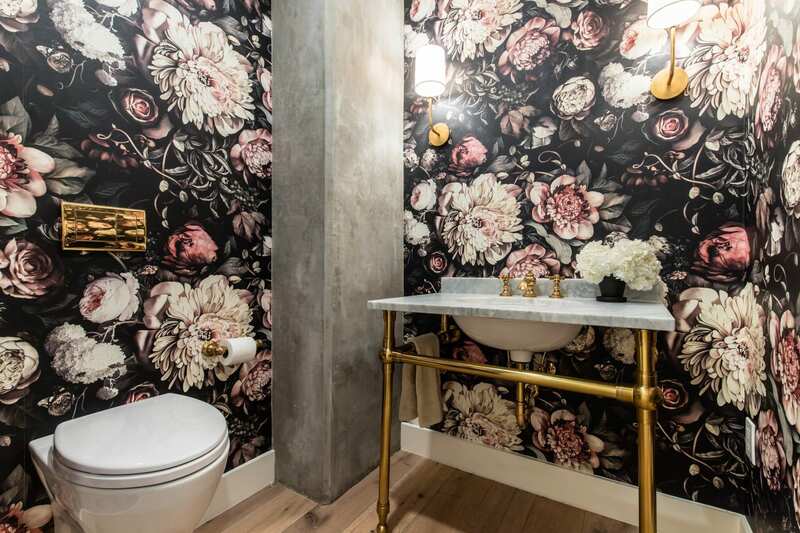 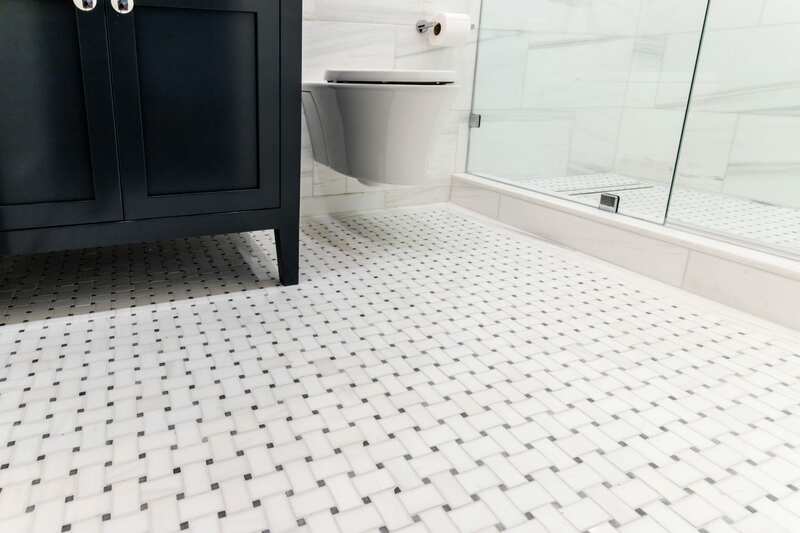 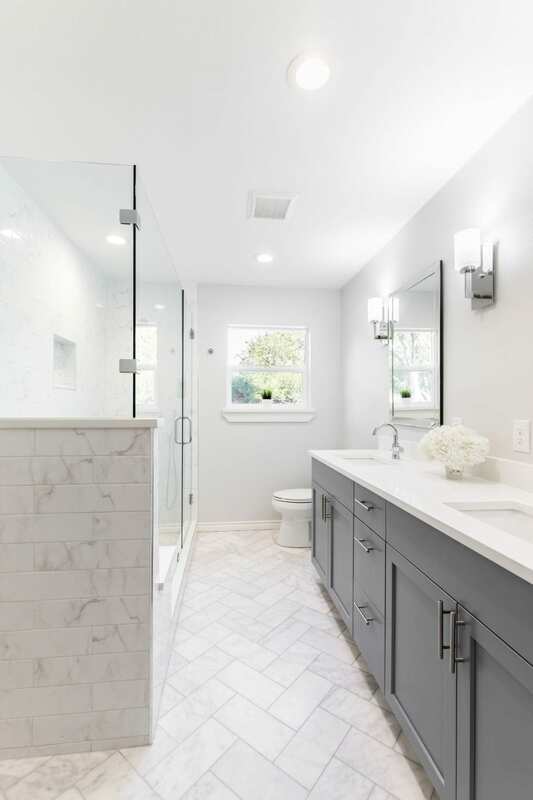 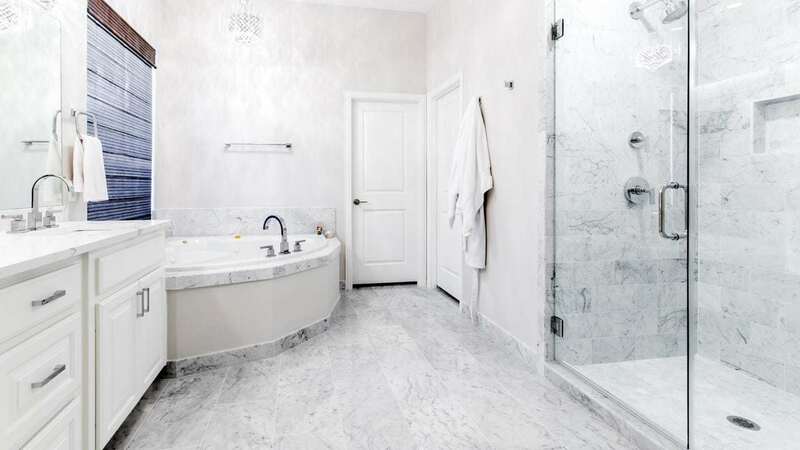 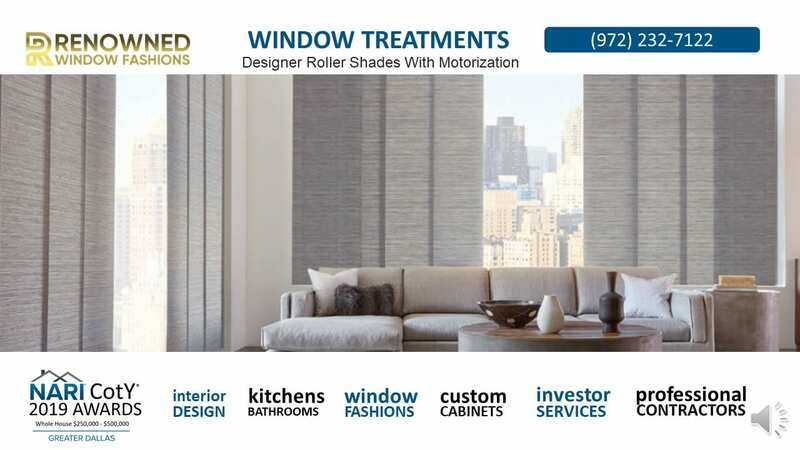 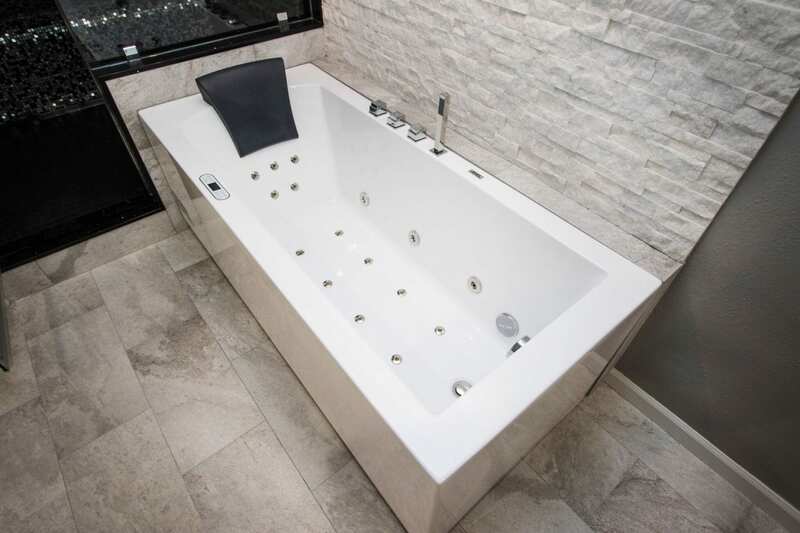 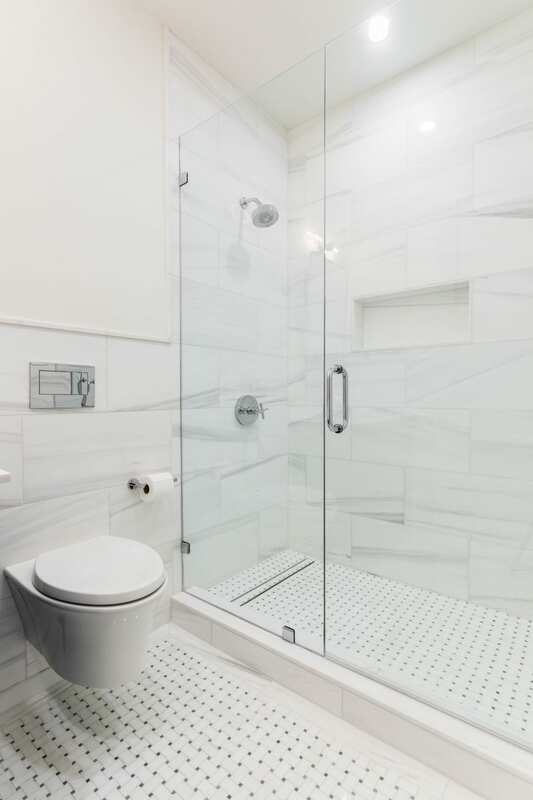 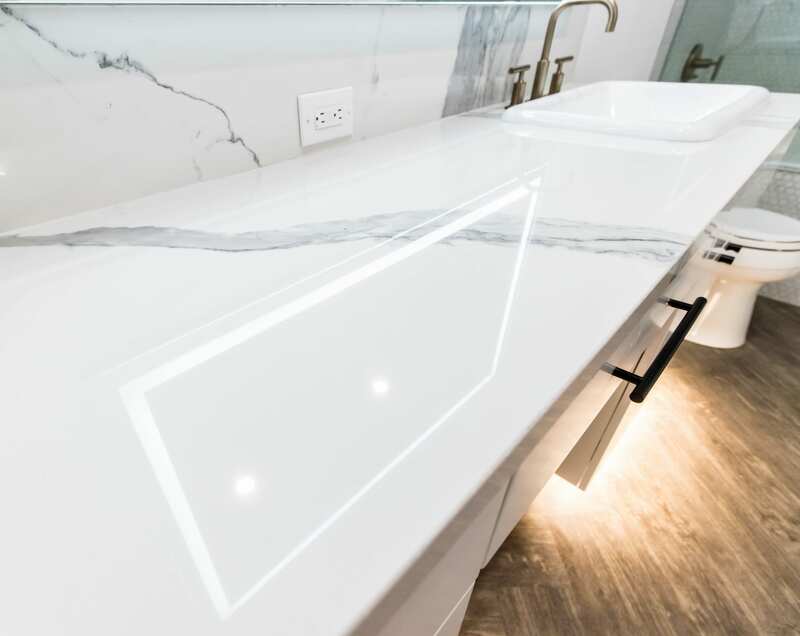 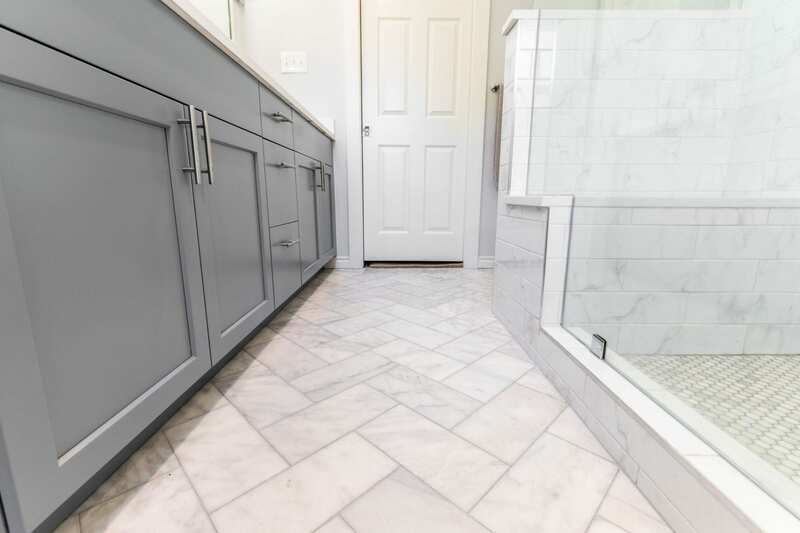 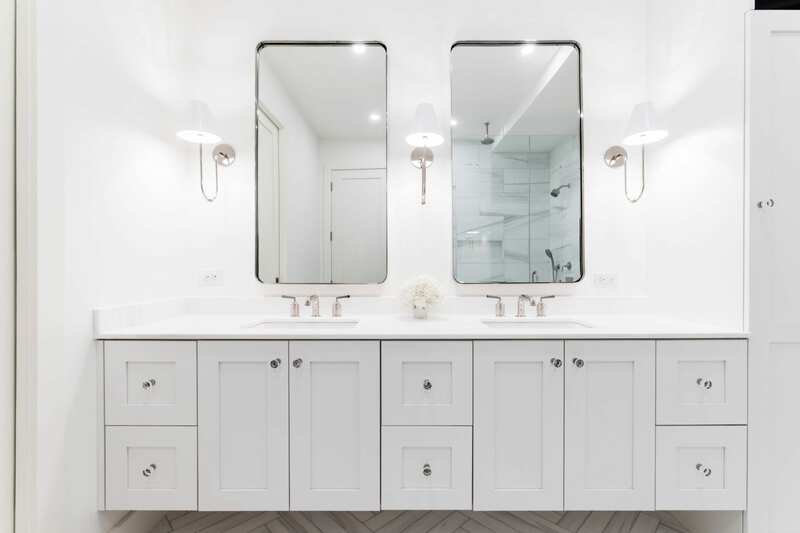 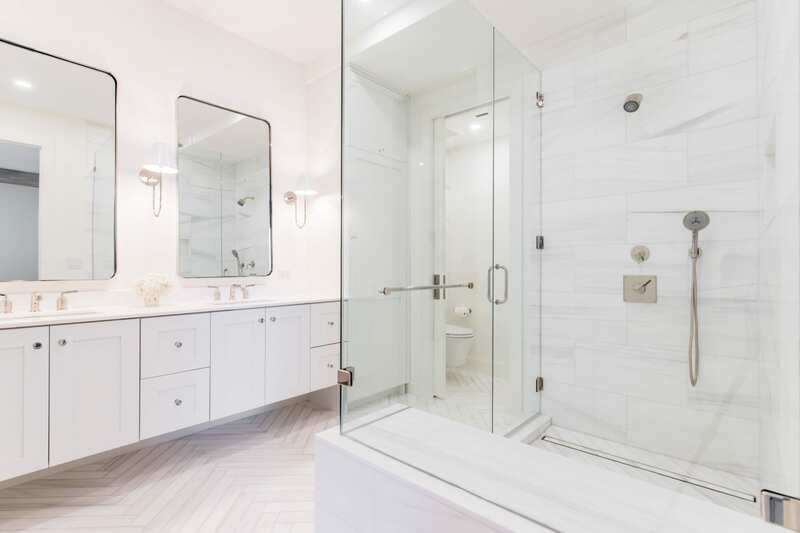 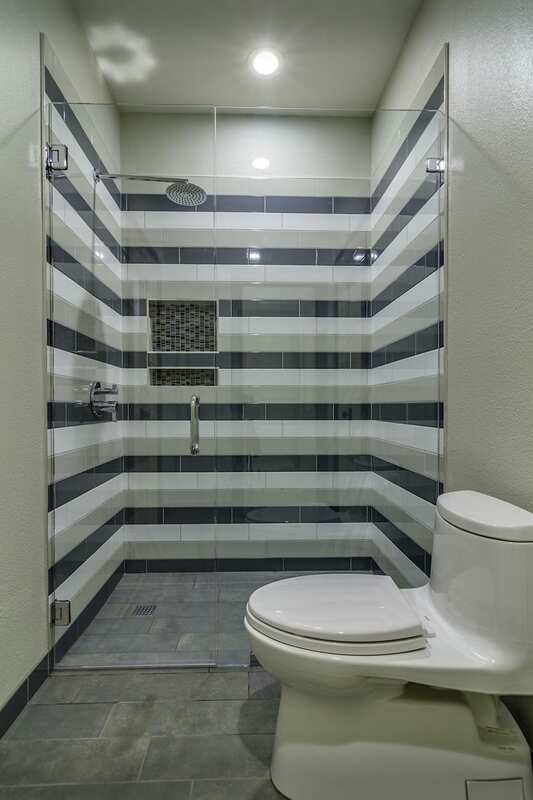 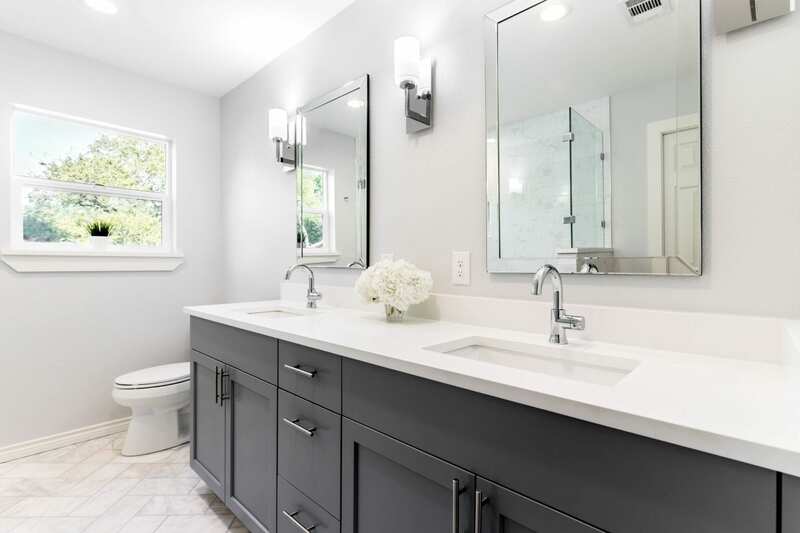 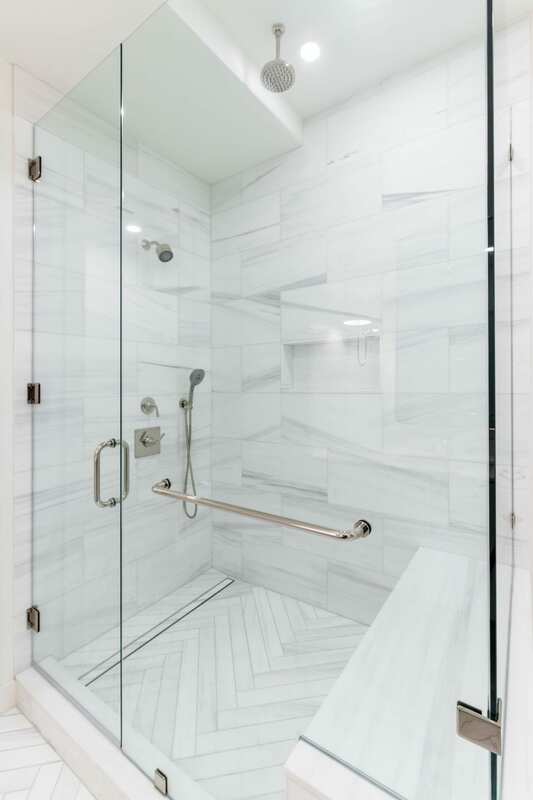 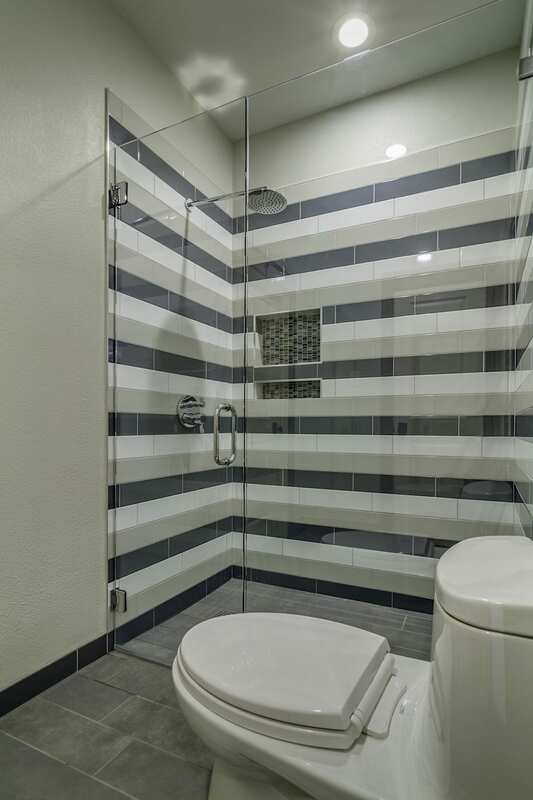 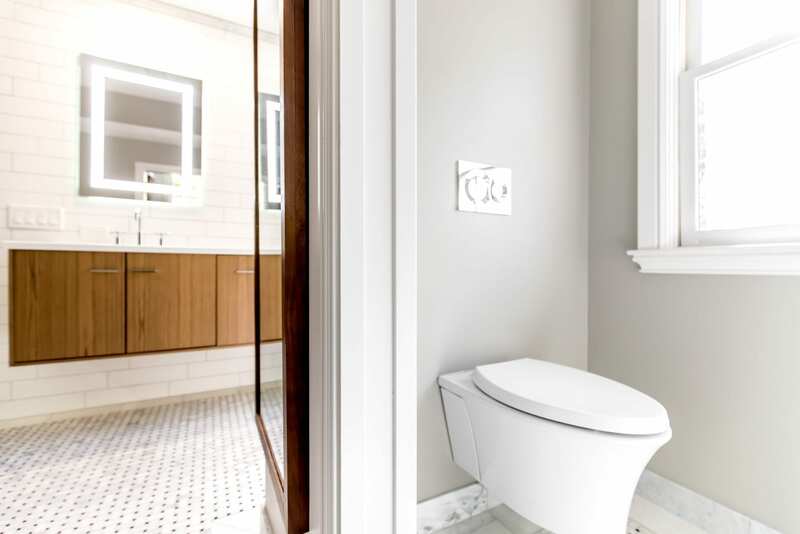 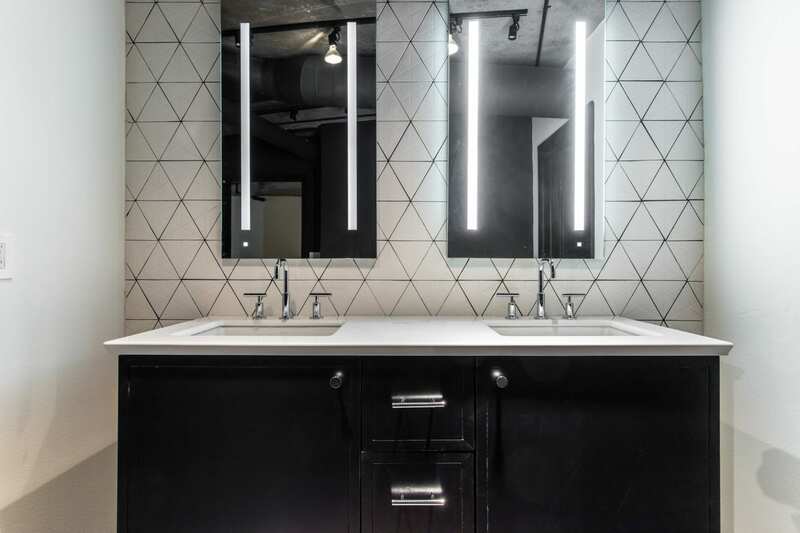 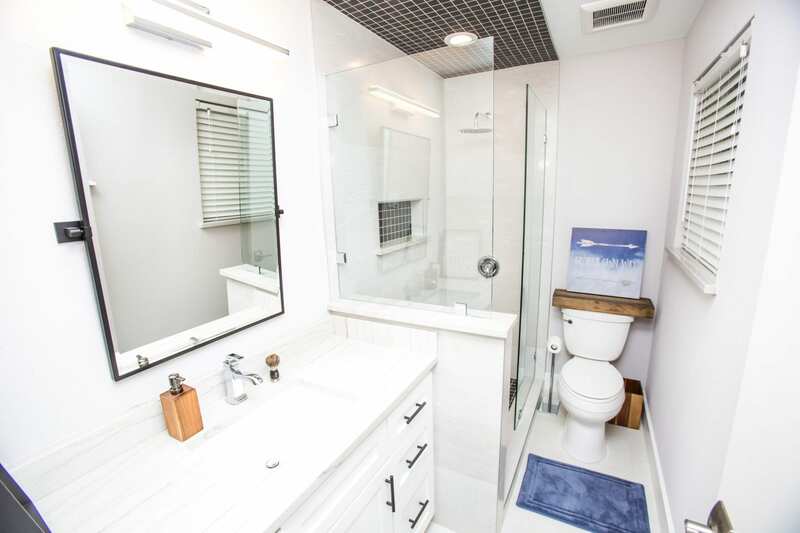 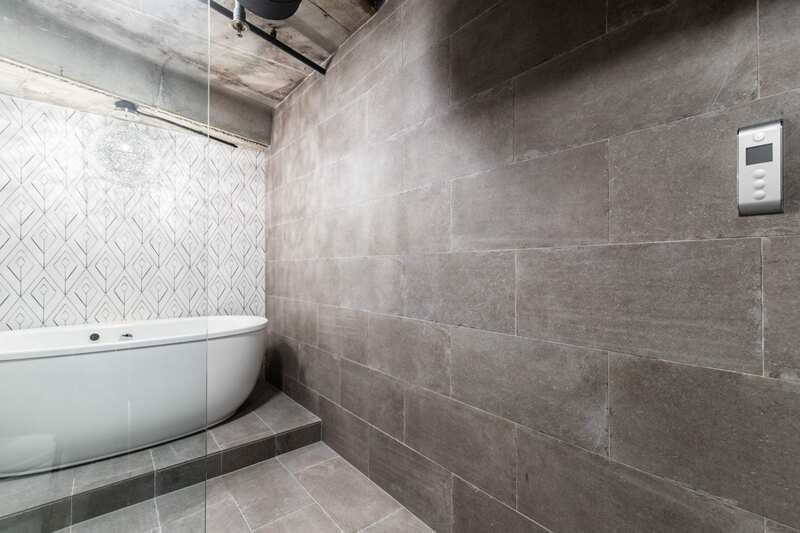 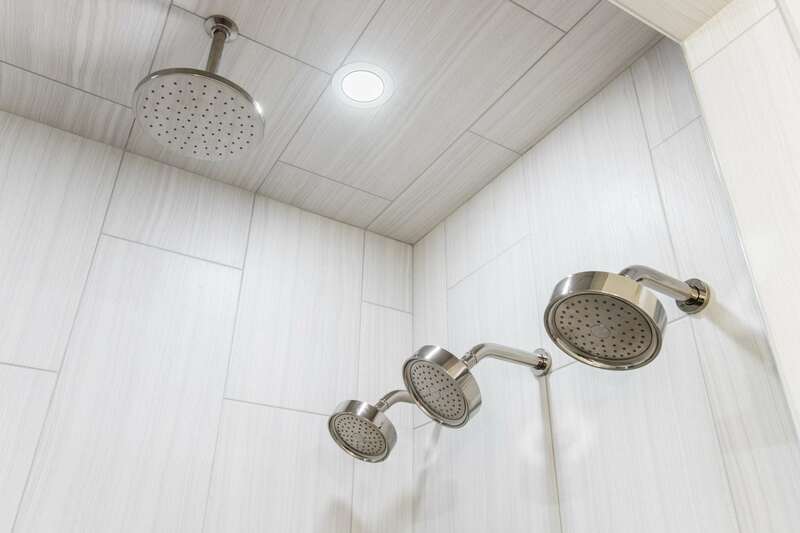 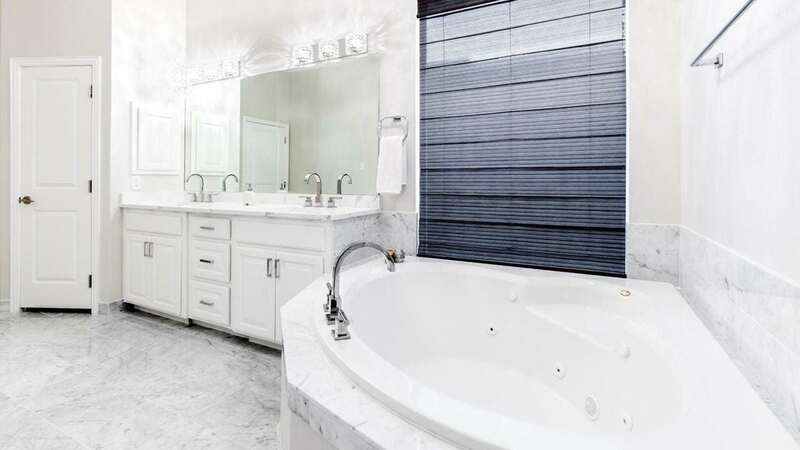 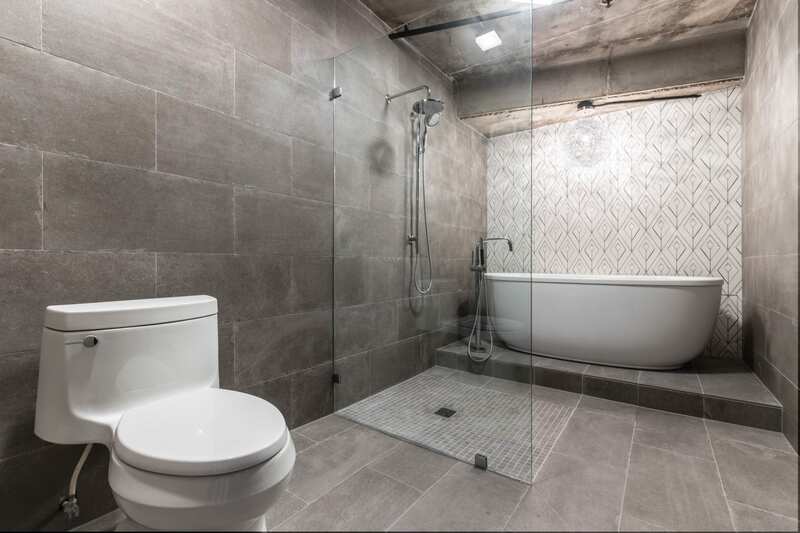 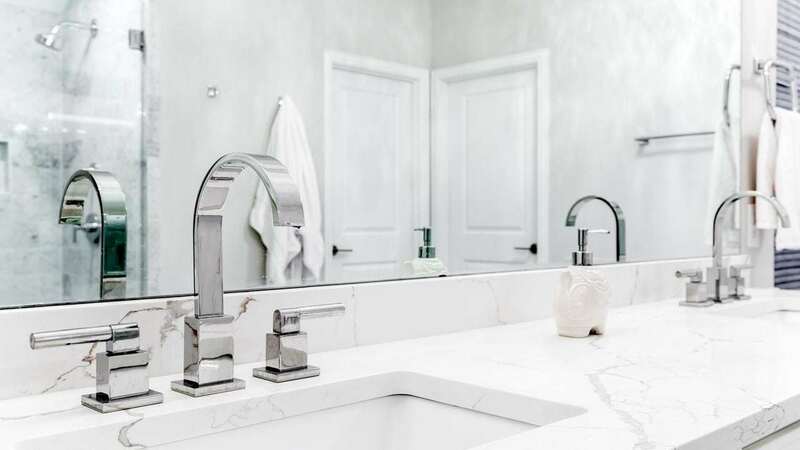 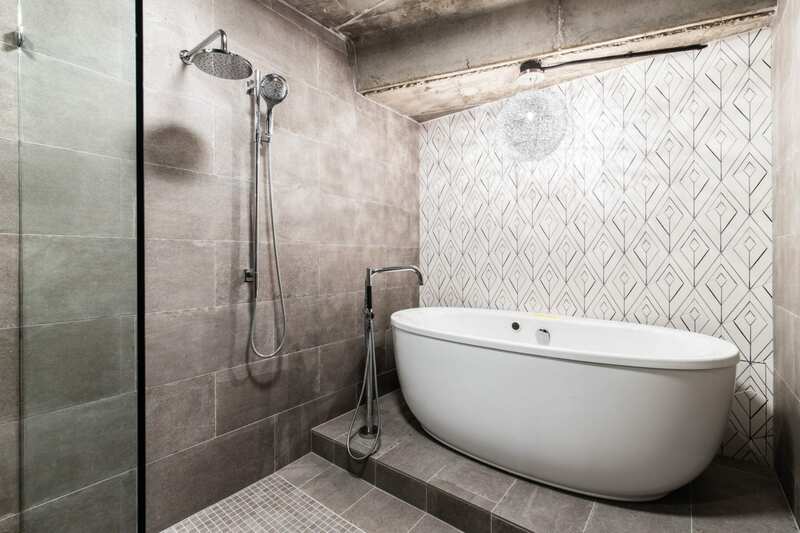 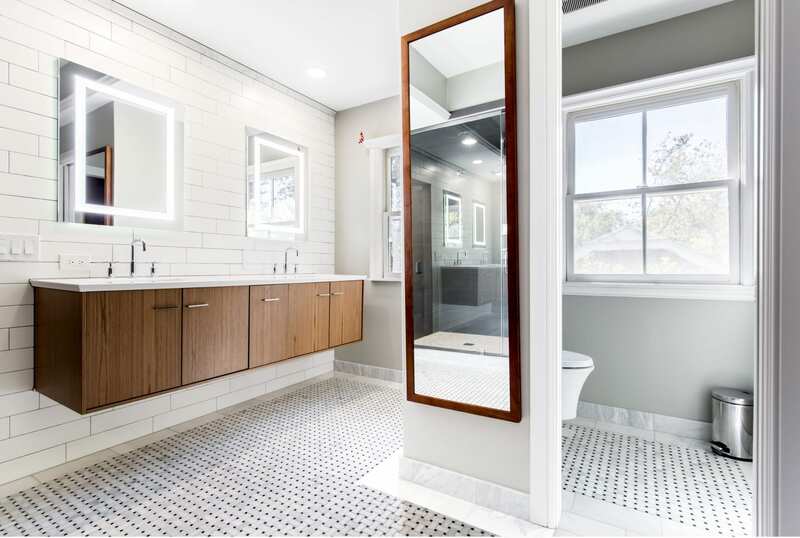 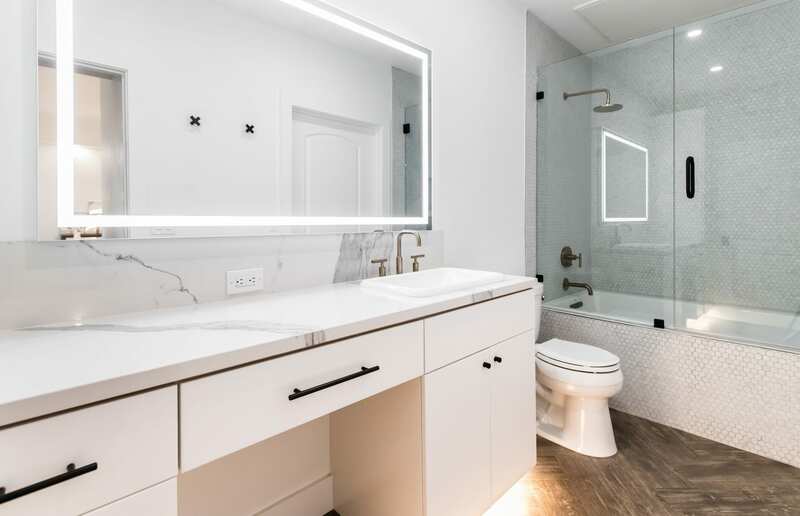 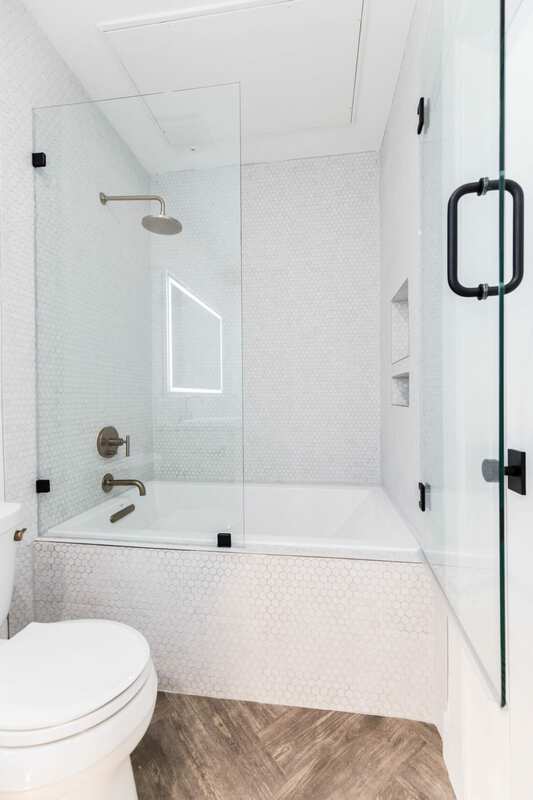 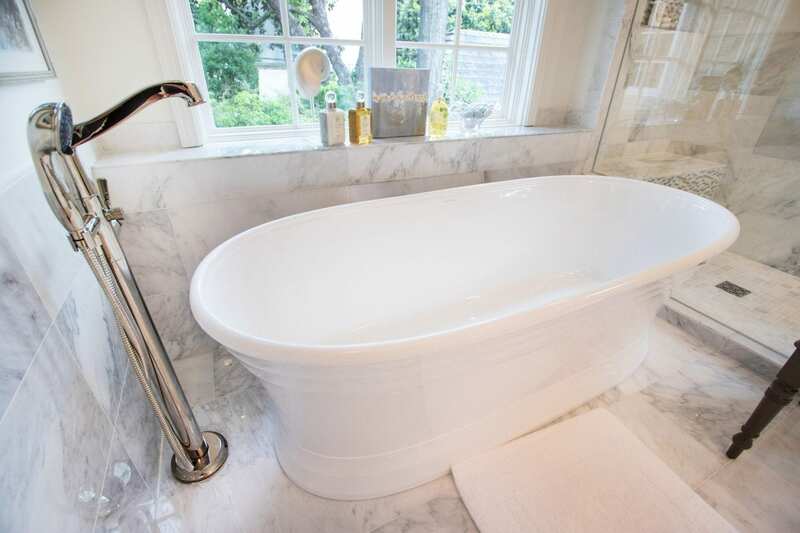 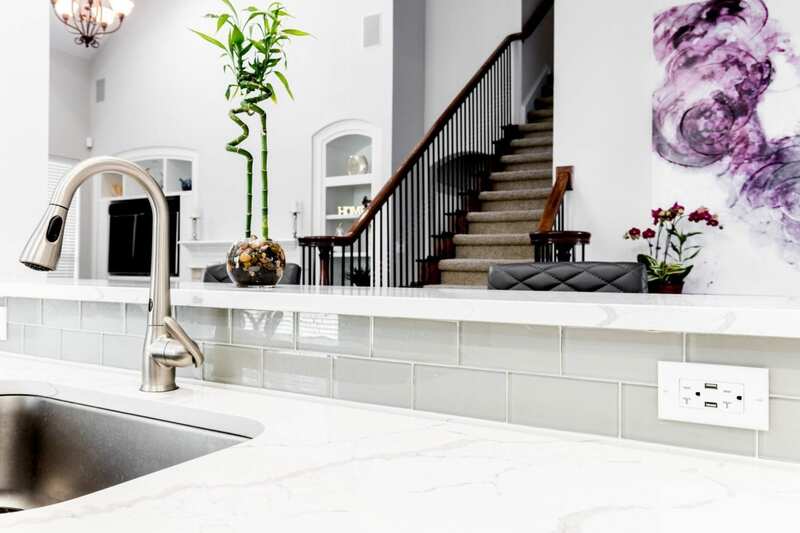 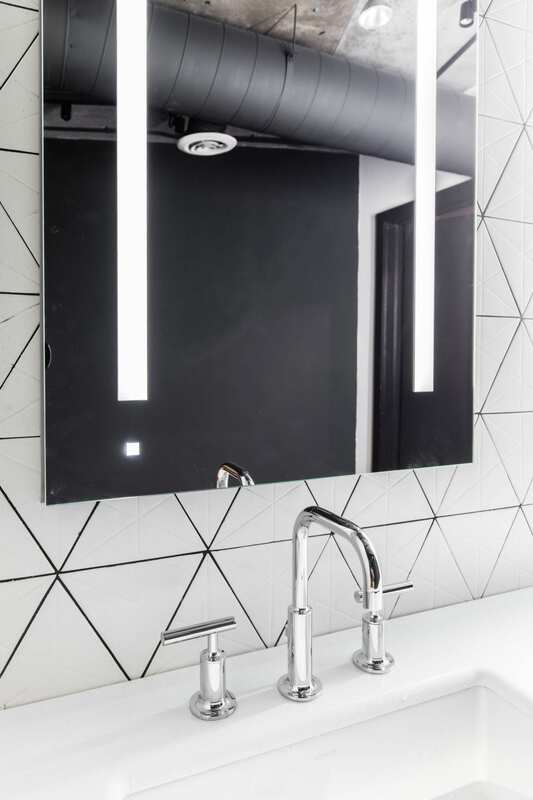 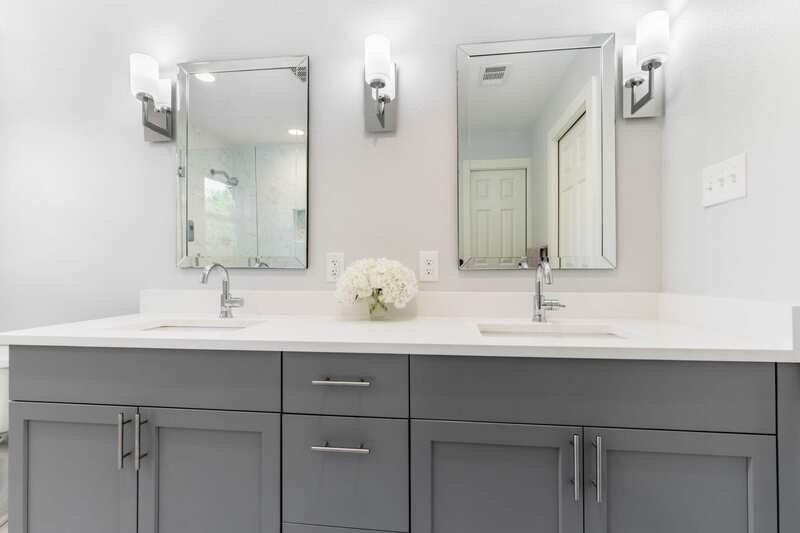 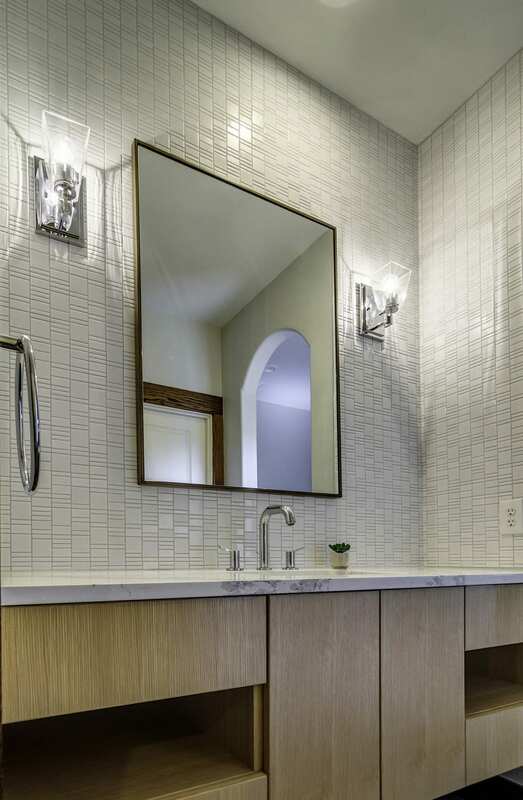 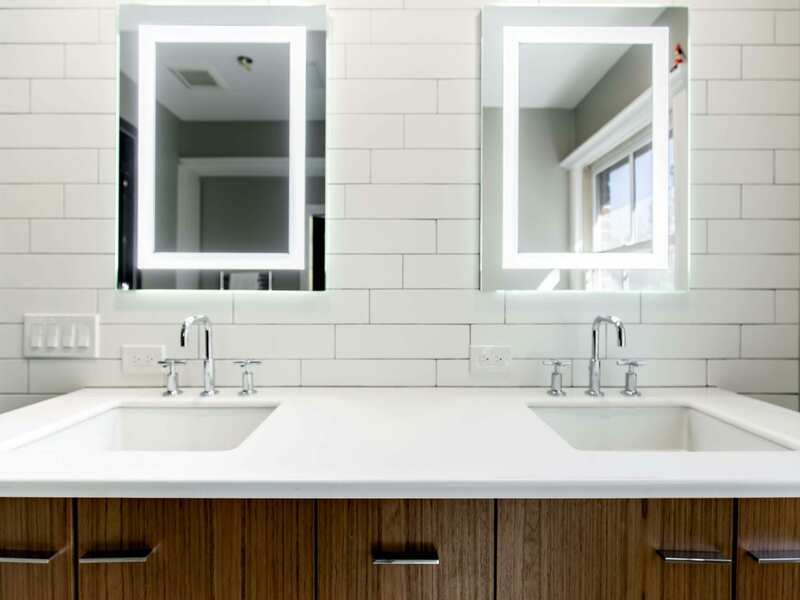 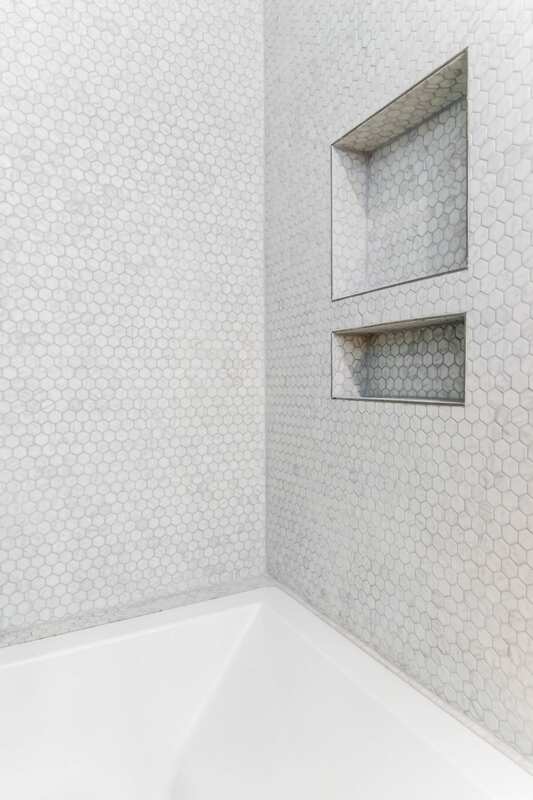 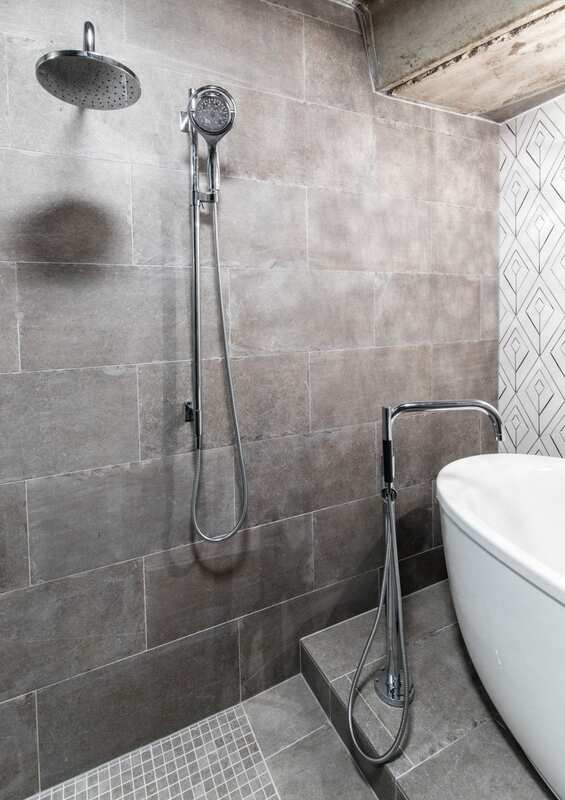 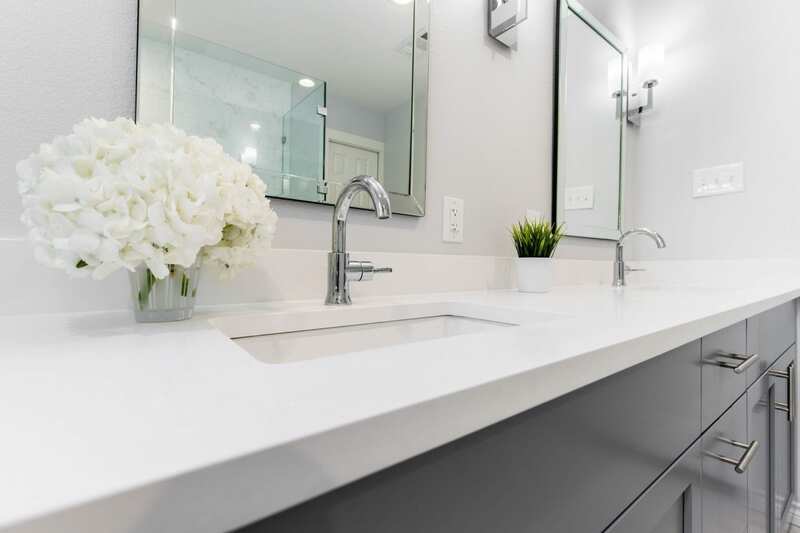 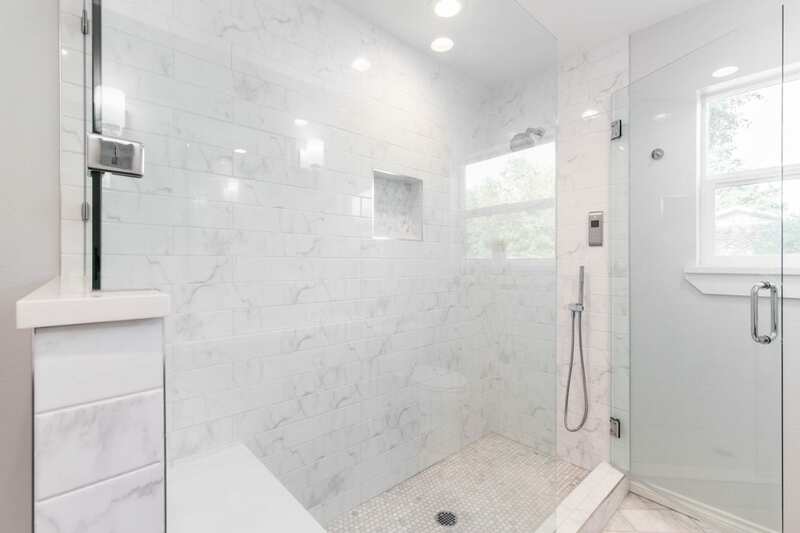 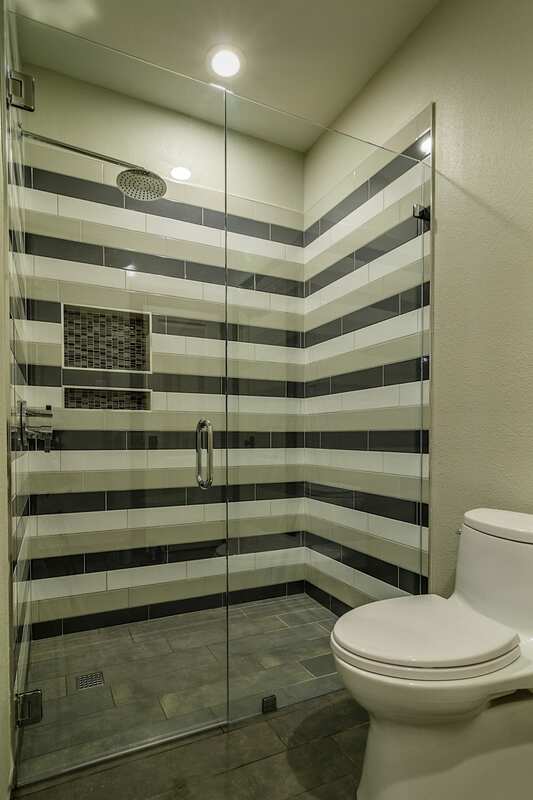 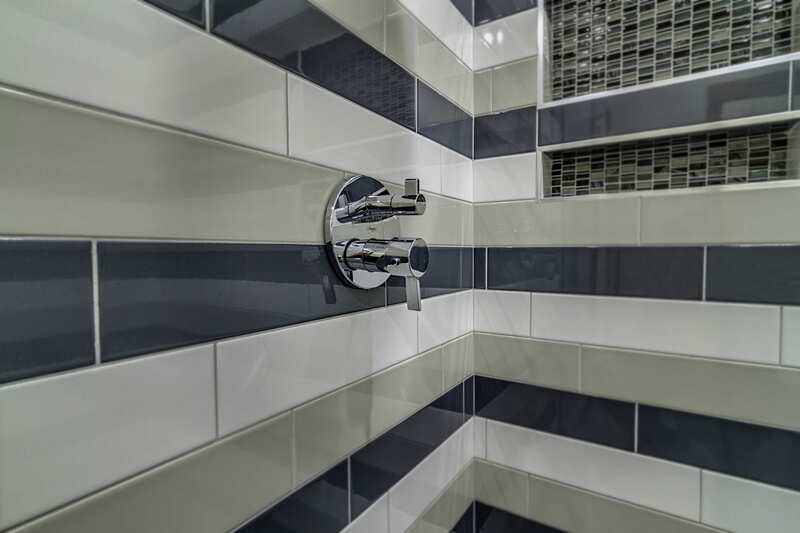 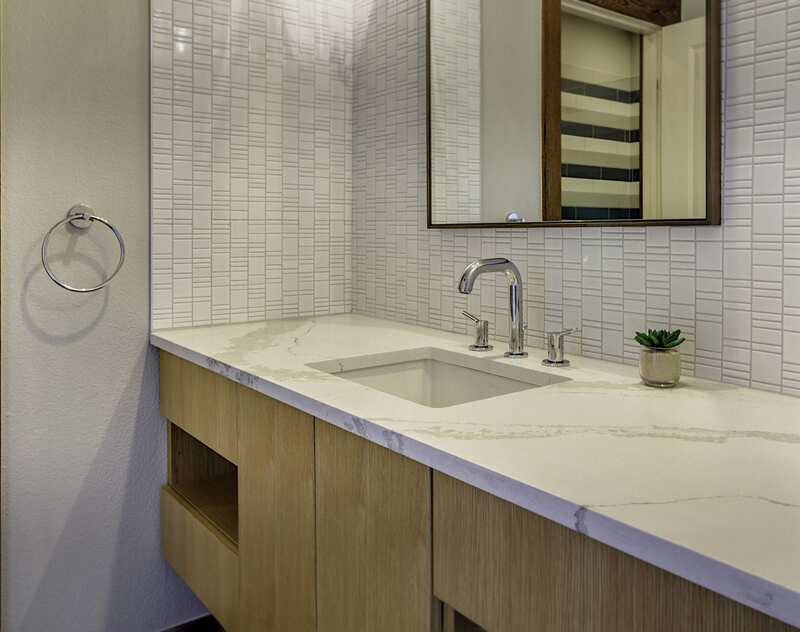 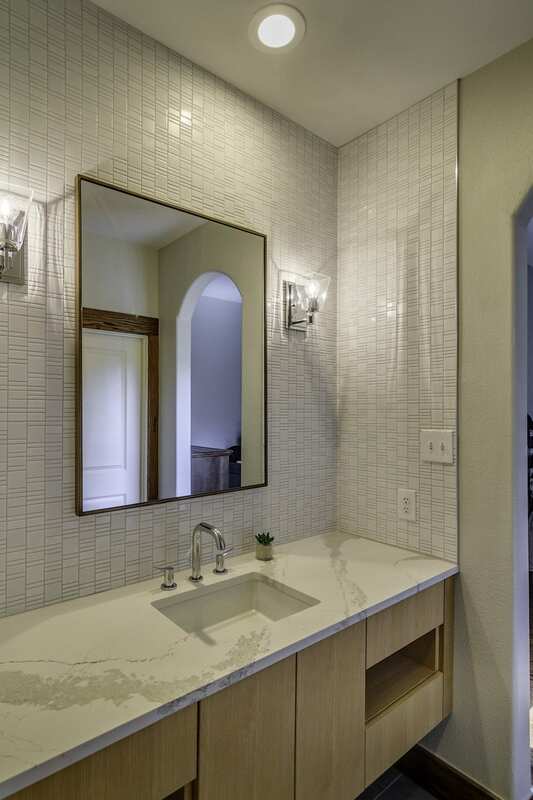 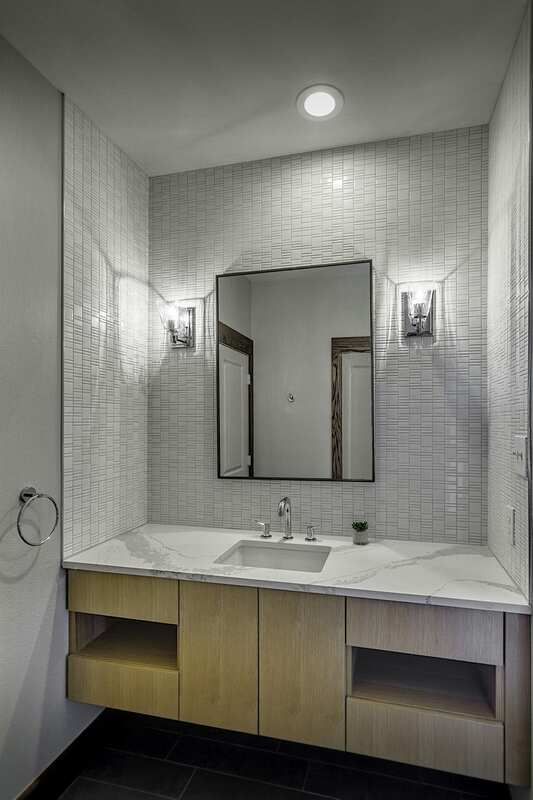 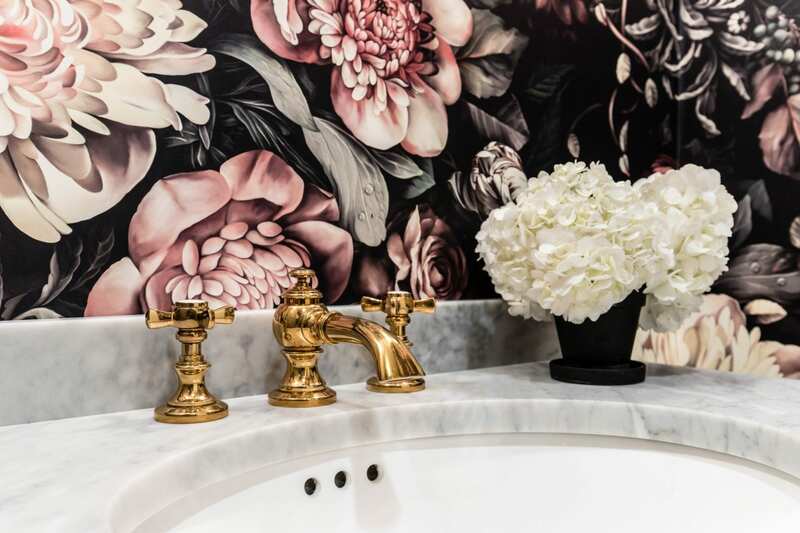 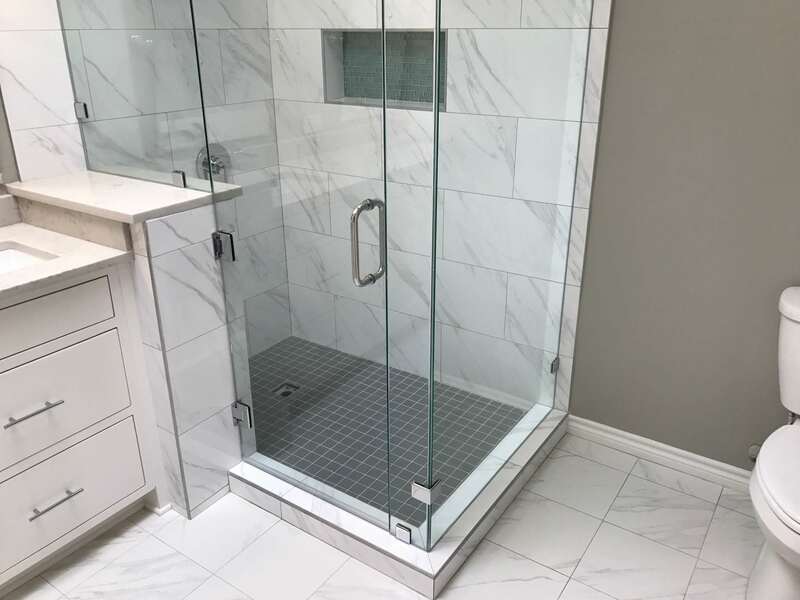 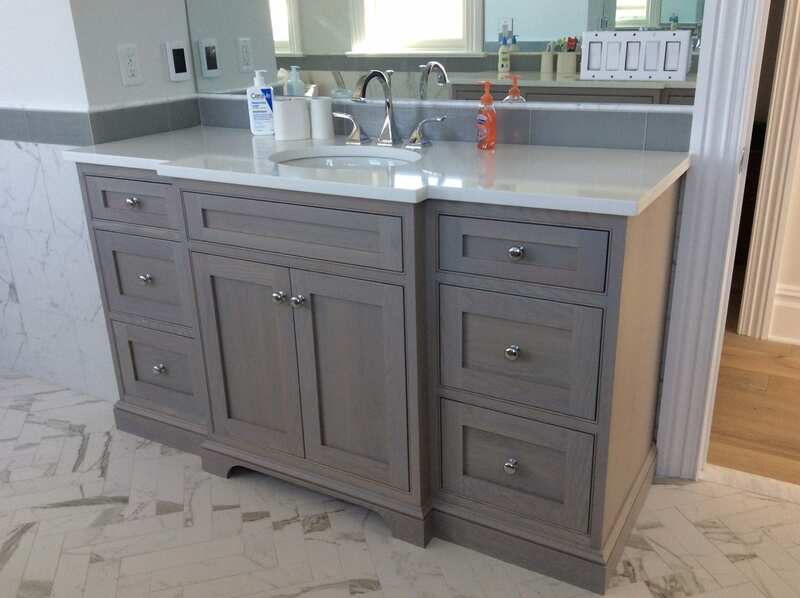 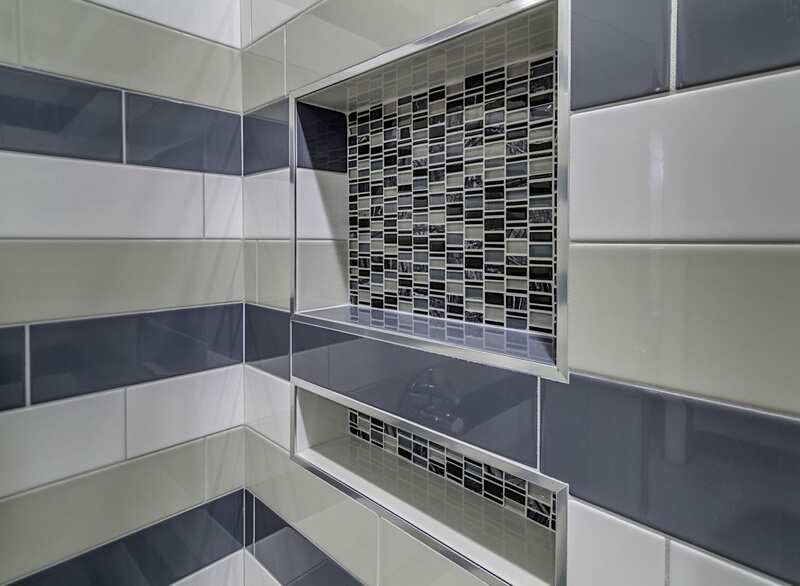 Renowned Renovation, a premier Dallas bathroom remodeling firm, knows that anything is possible when it comes to redesigning your home’s bathrooms, from a personal spa with a steam room, to an easy-to-clean, beautiful shower, to a complete bathroom makeover. 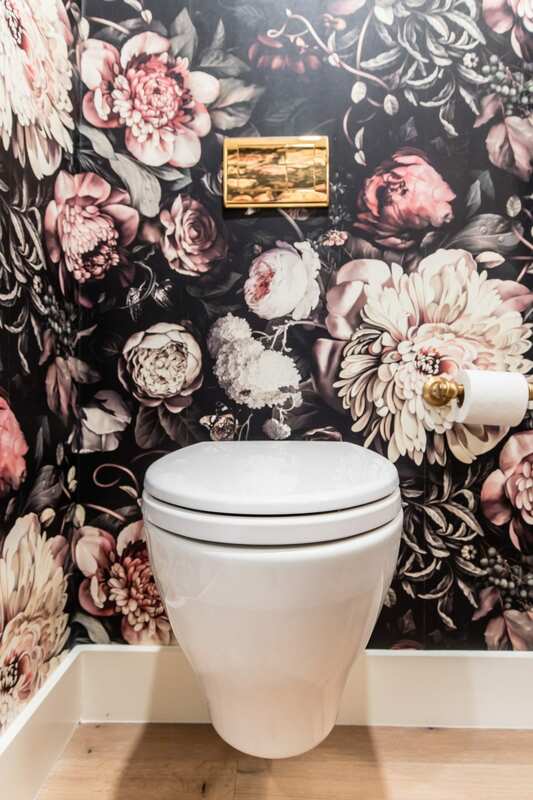 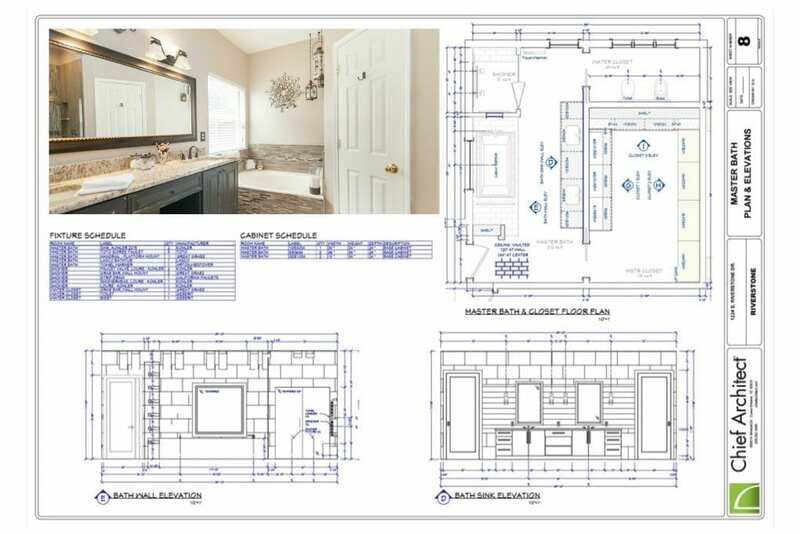 Imagine your excitement when you show your new bath to family and friends! 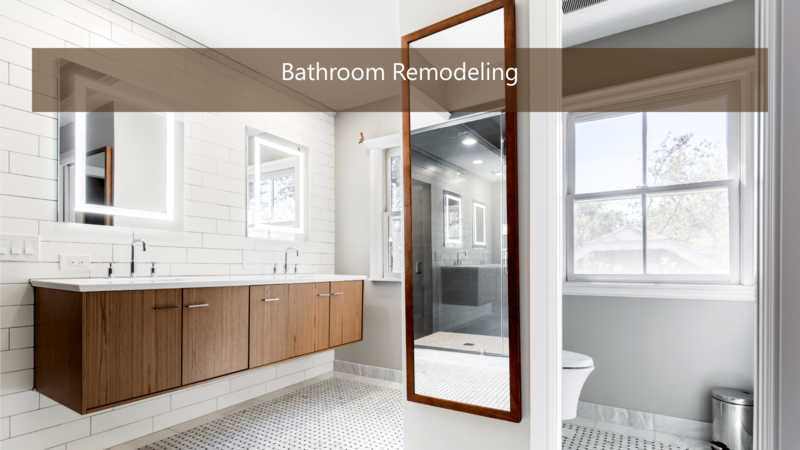 Call us today and save $500 on Bathroom Remodeling. 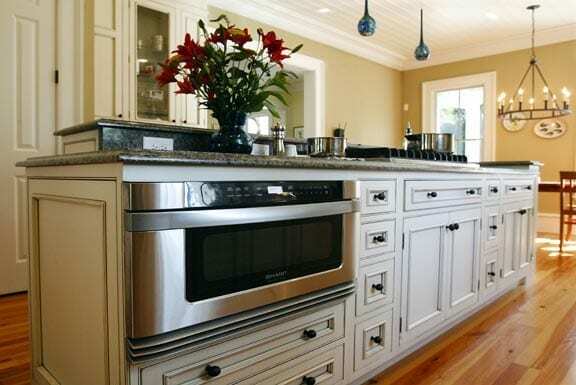 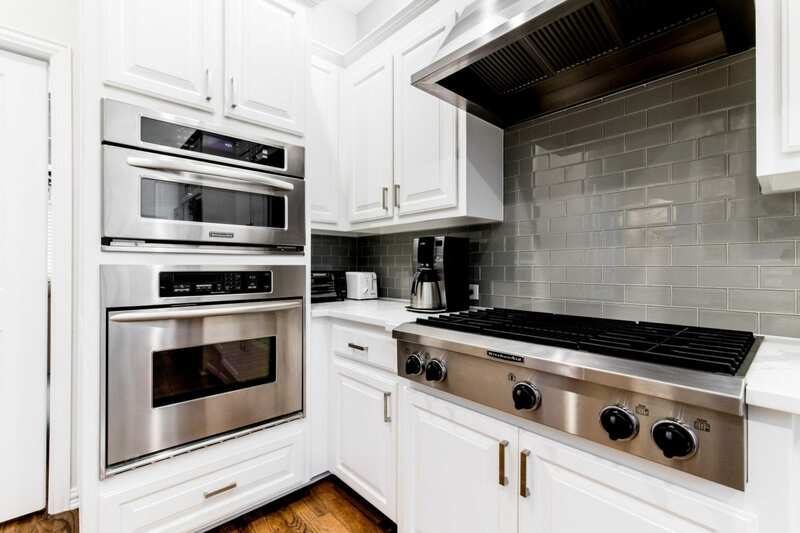 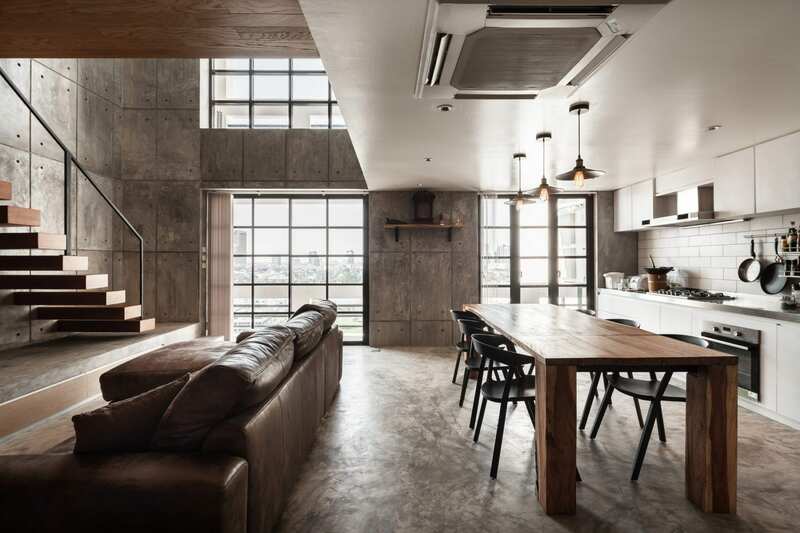 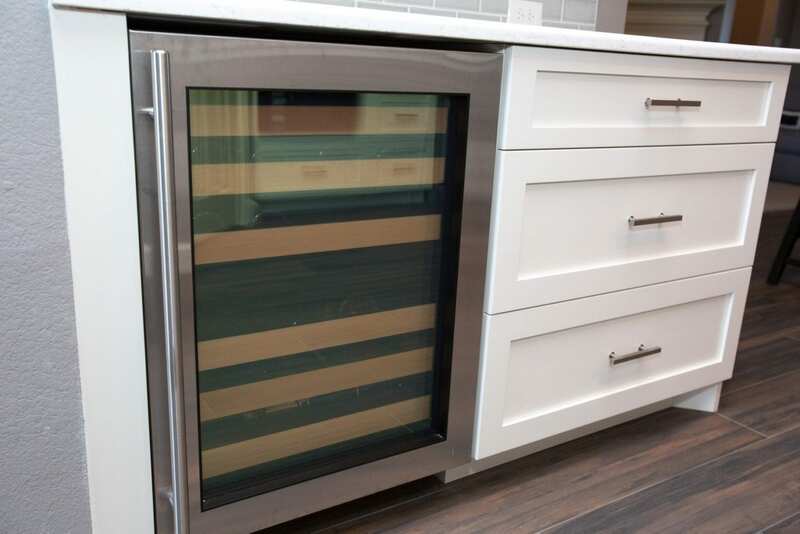 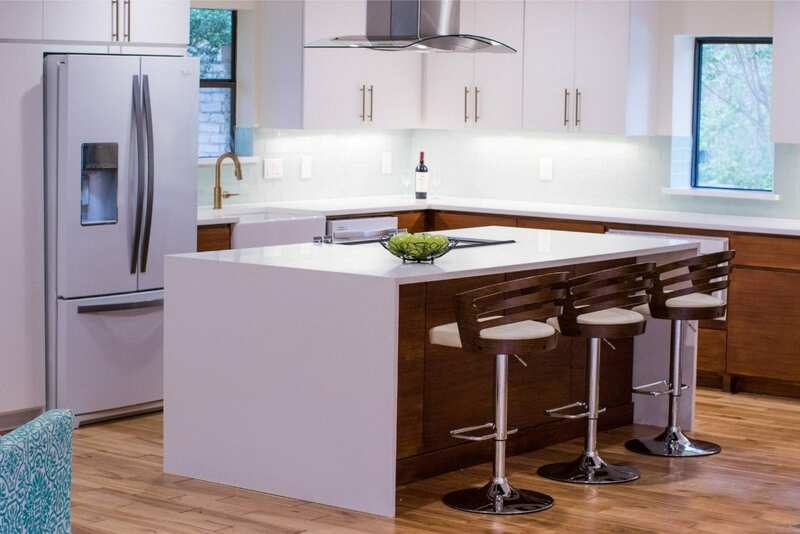 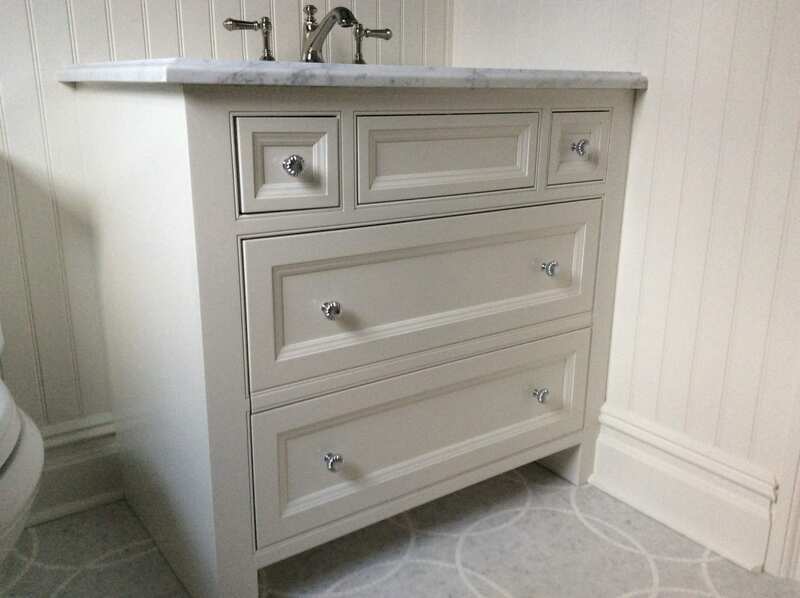 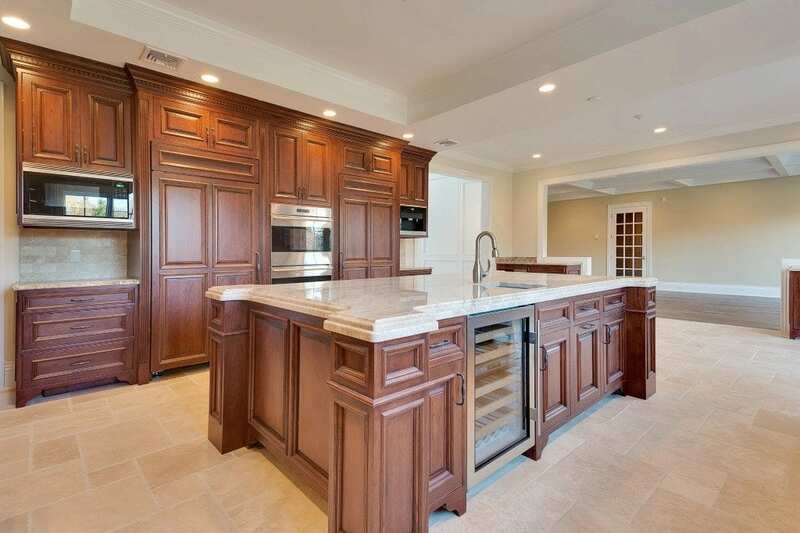 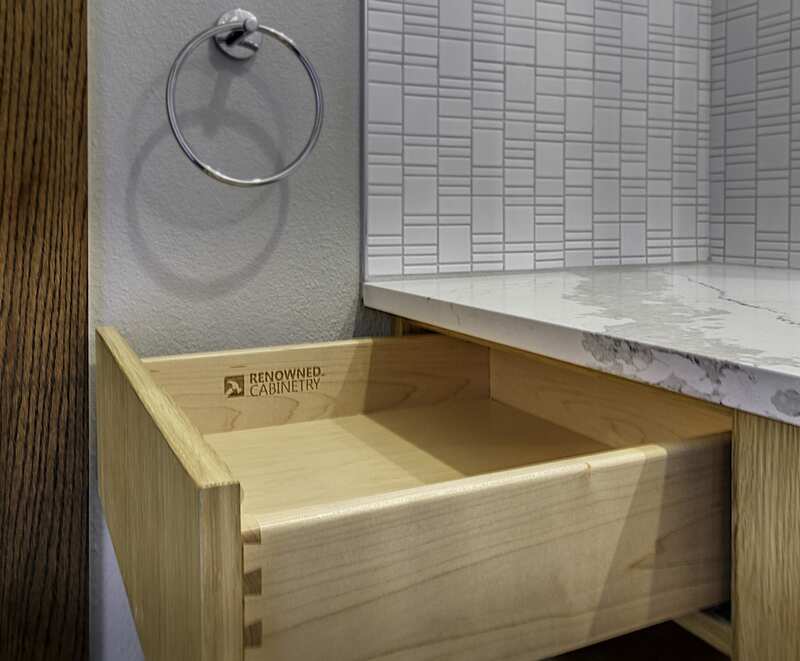 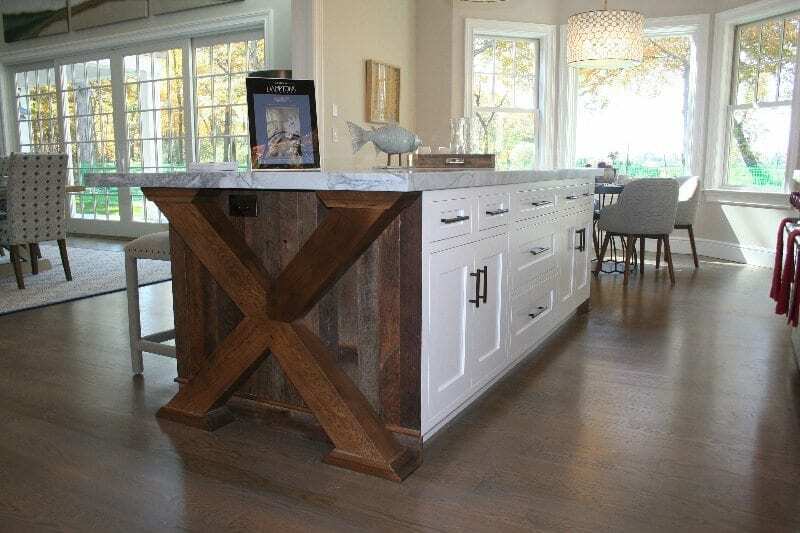 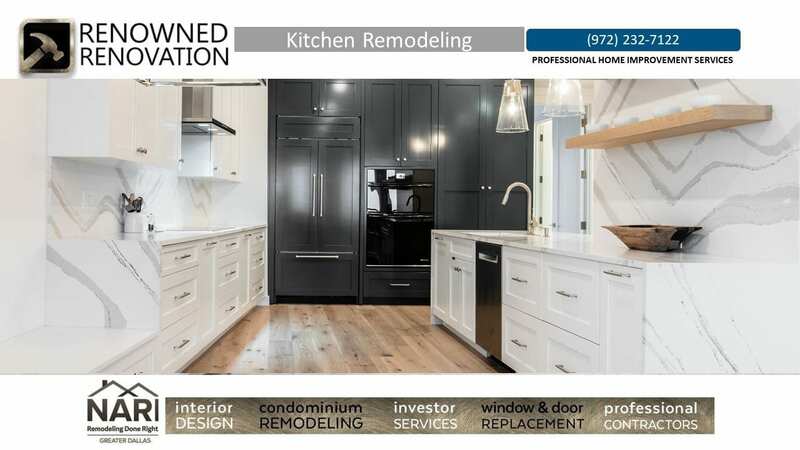 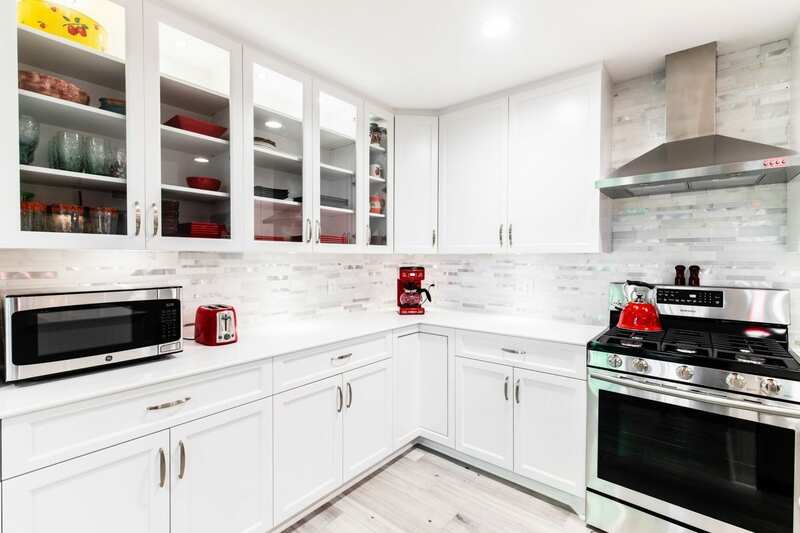 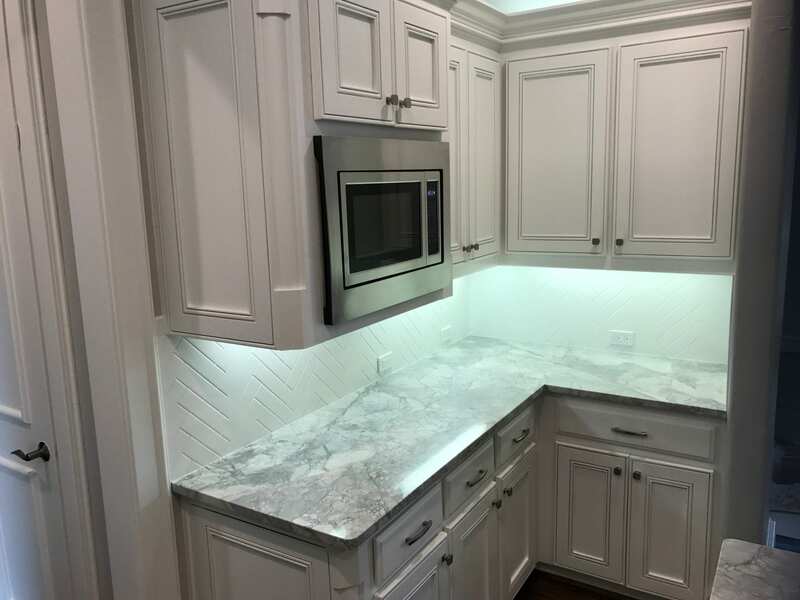 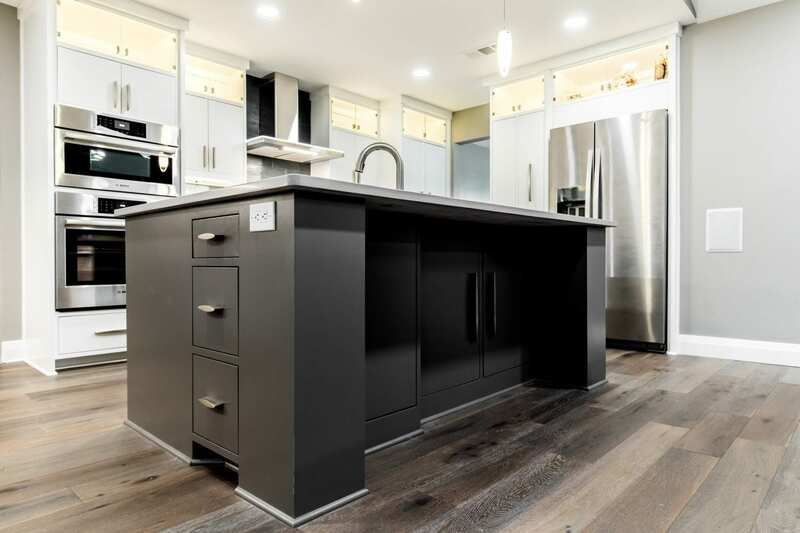 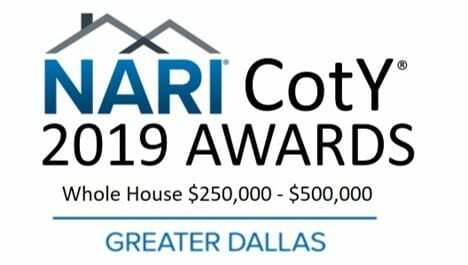 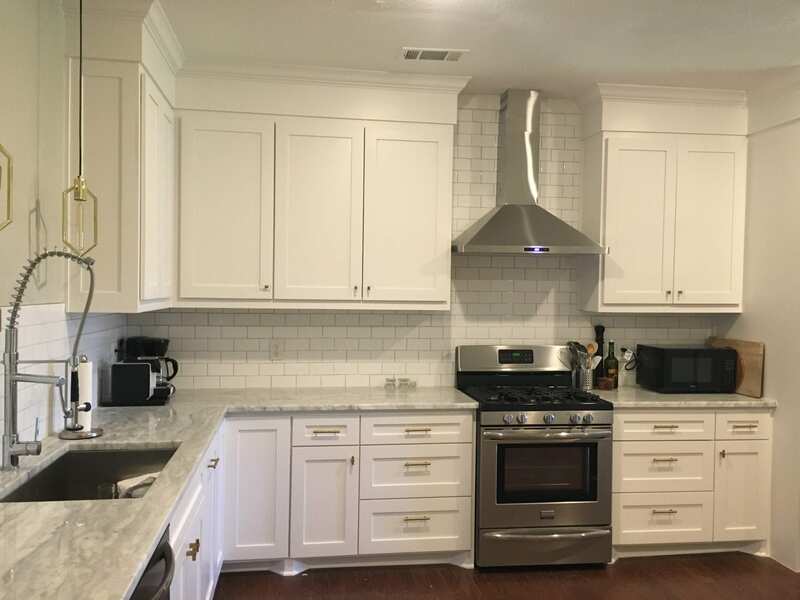 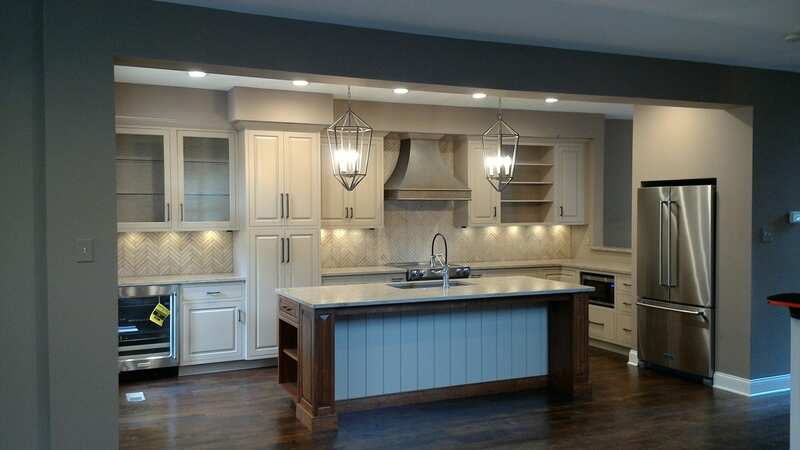 Even if your kitchen or bathroom remodeling plan is complicated, Renowned Renovation professionals are trained to provide you with the result you desire instead of the same old “cookie cutter” big box store solution..